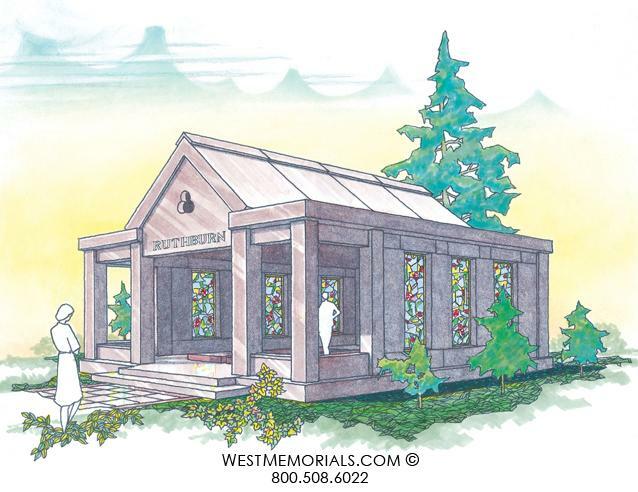 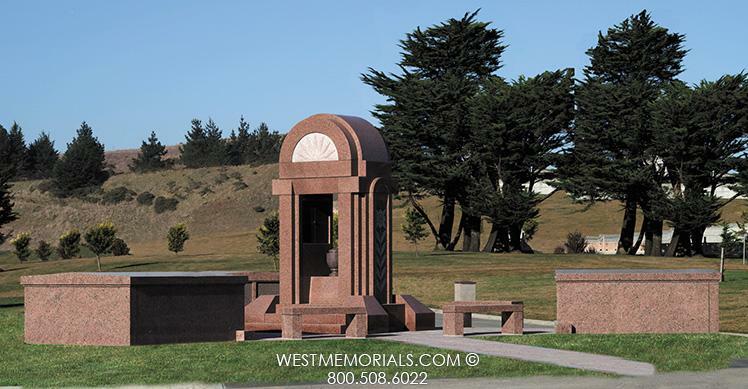 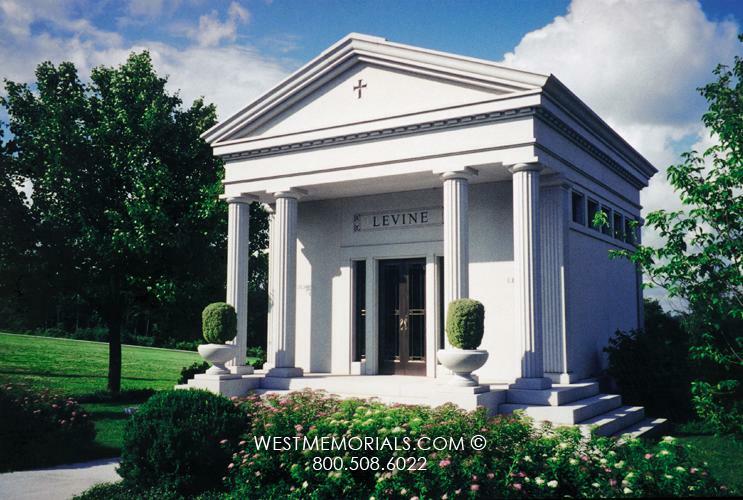 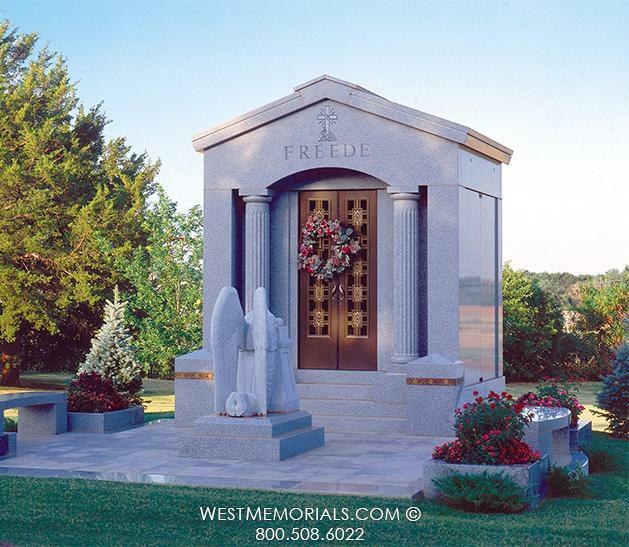 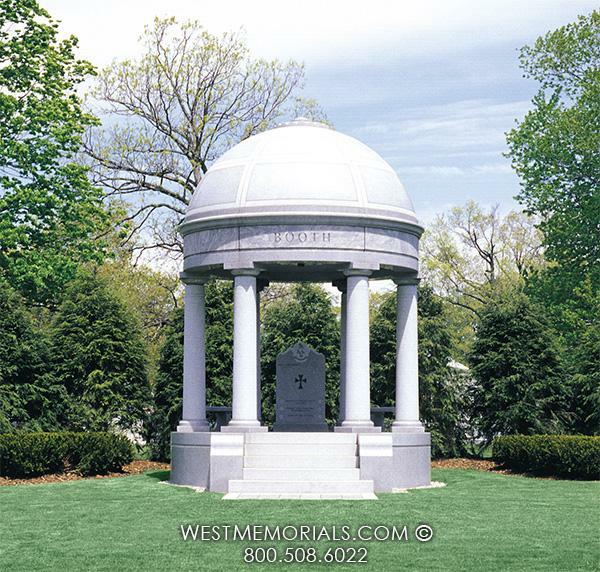 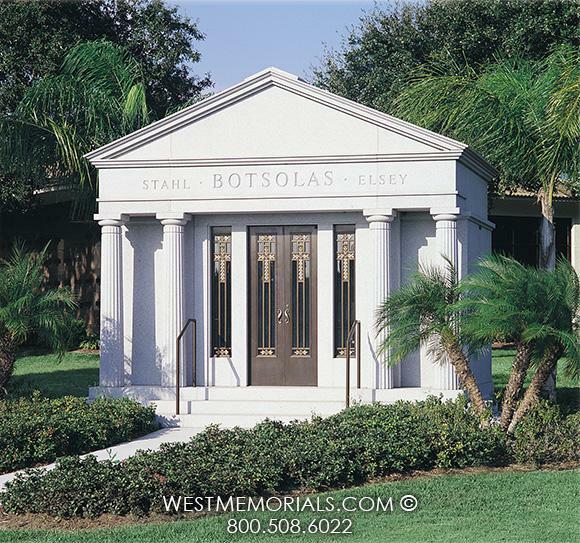 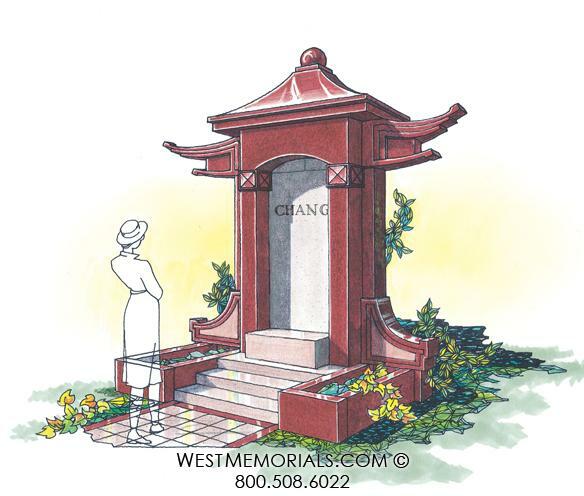 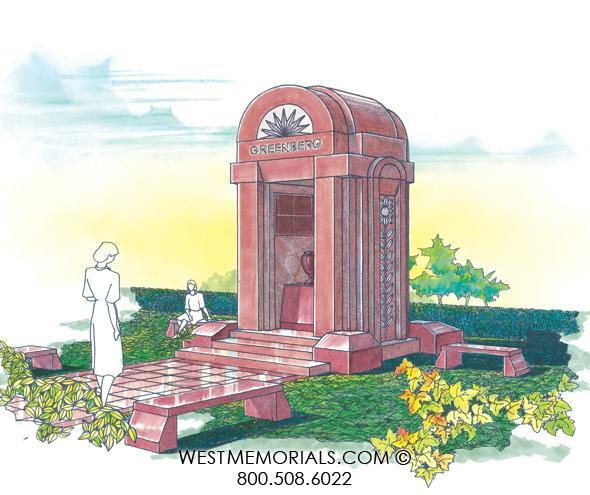 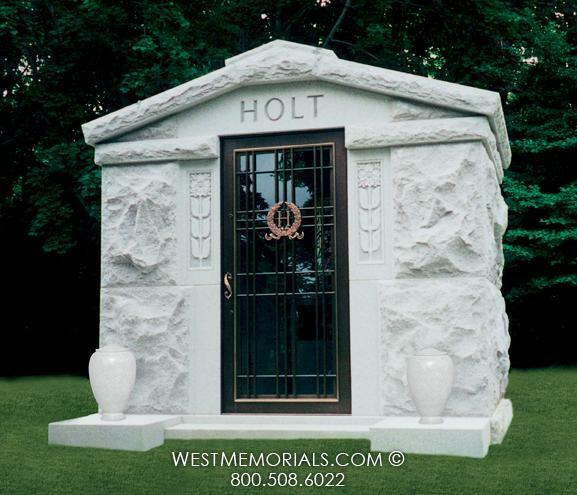 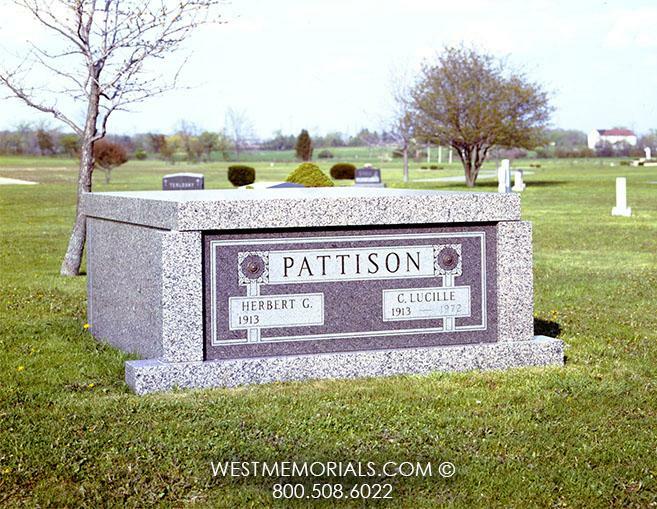 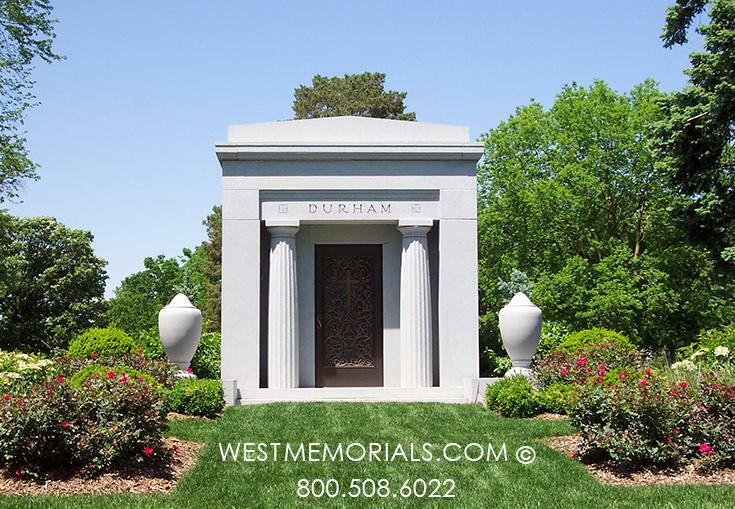 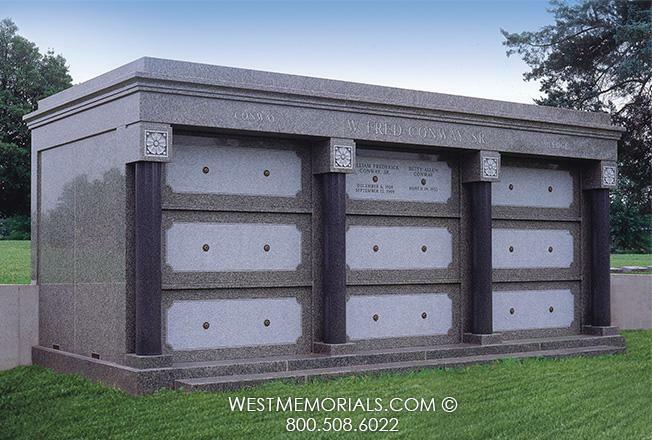 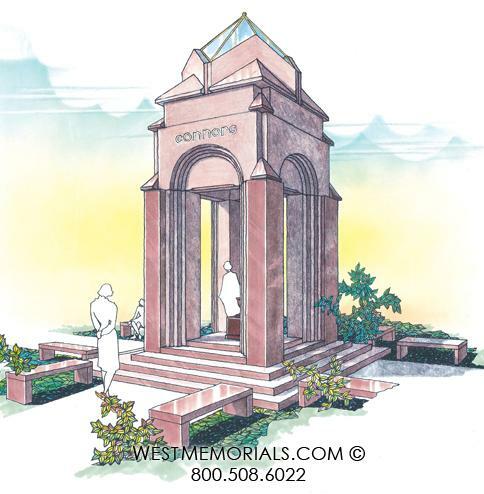 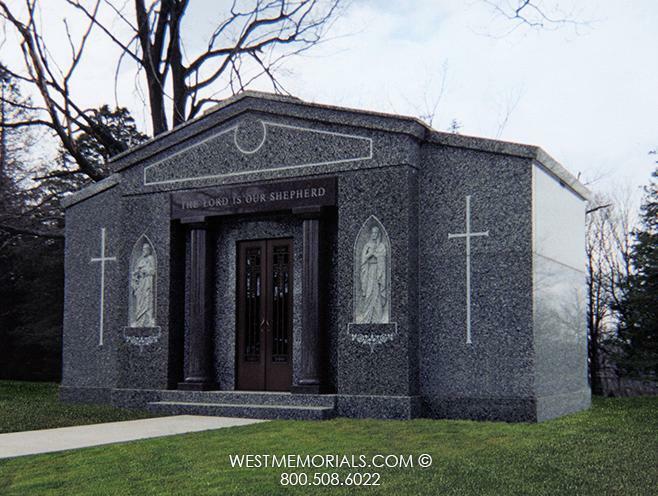 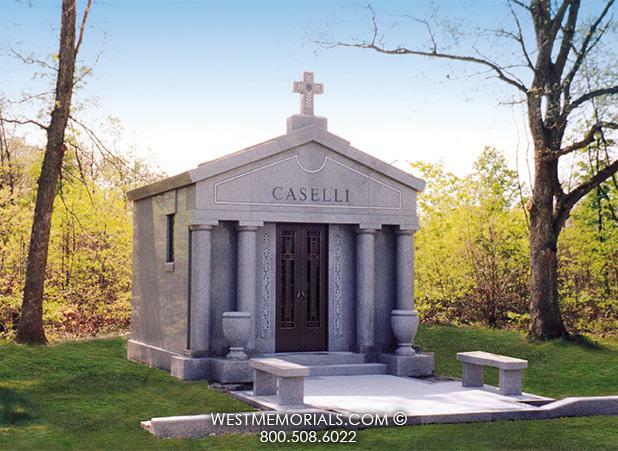 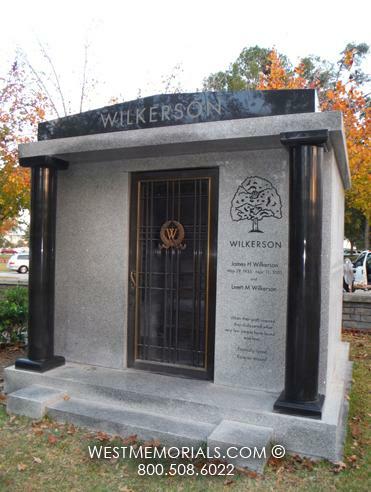 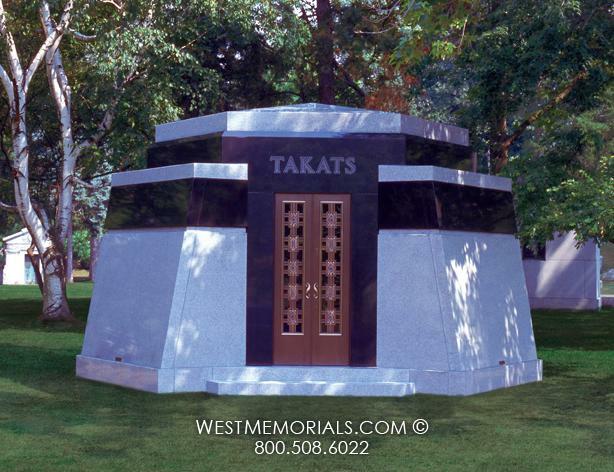 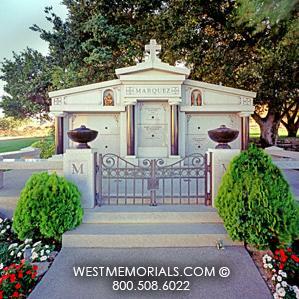 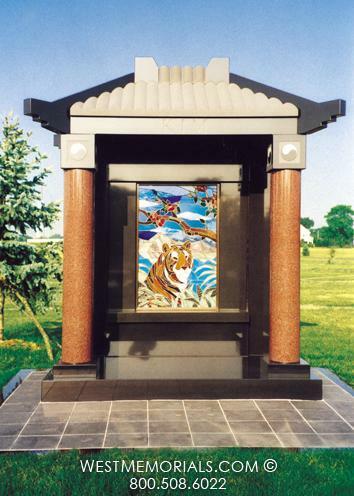 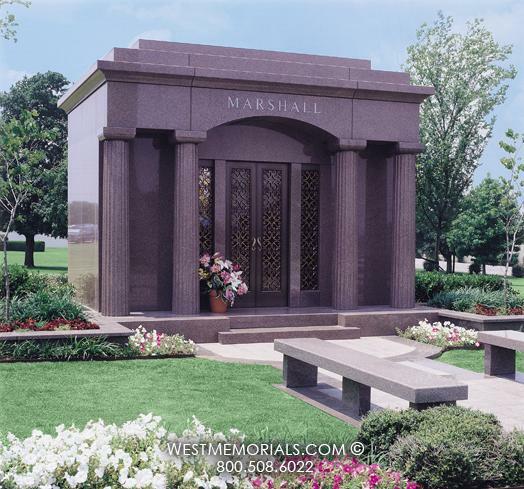 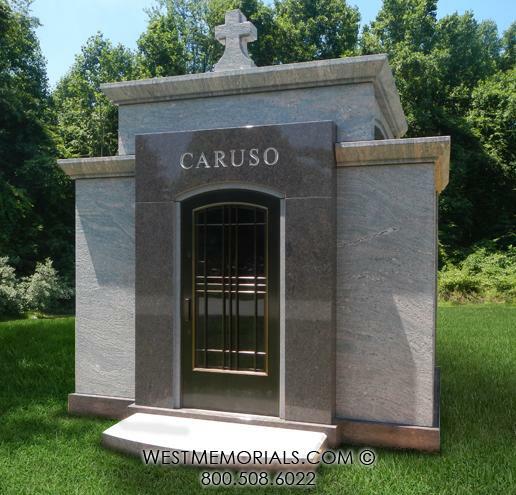 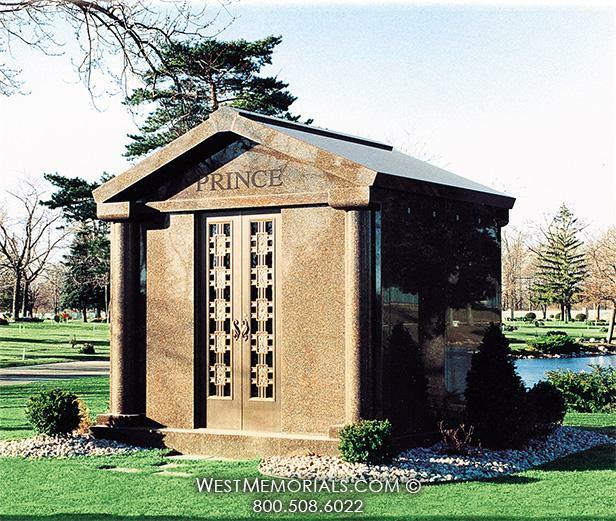 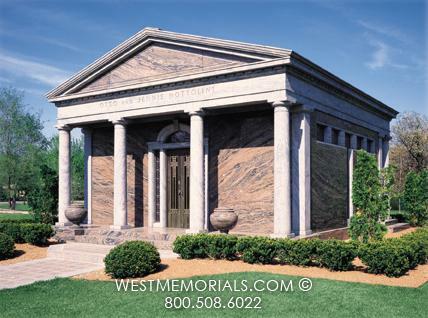 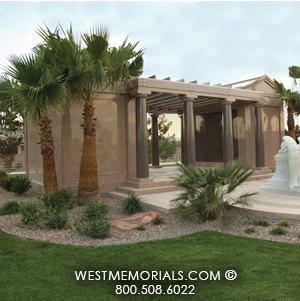 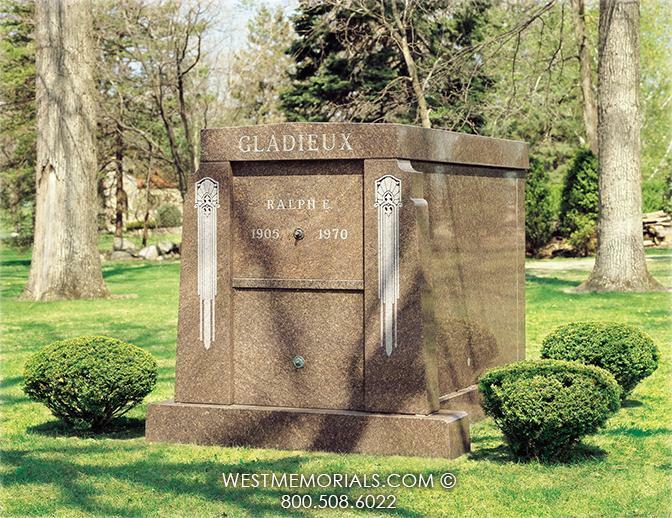 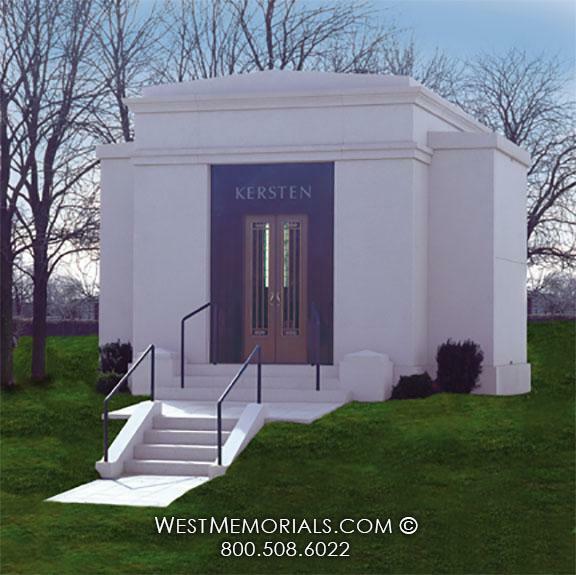 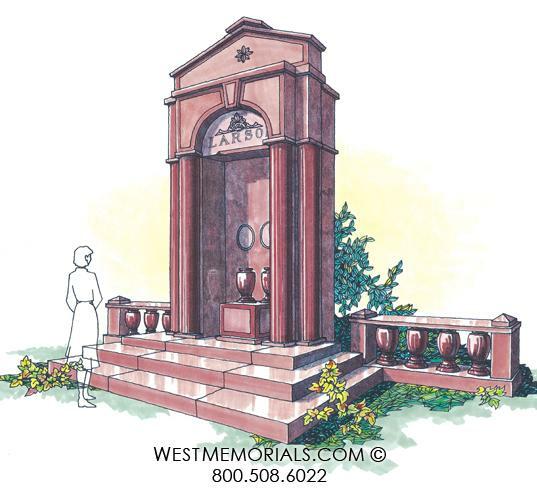 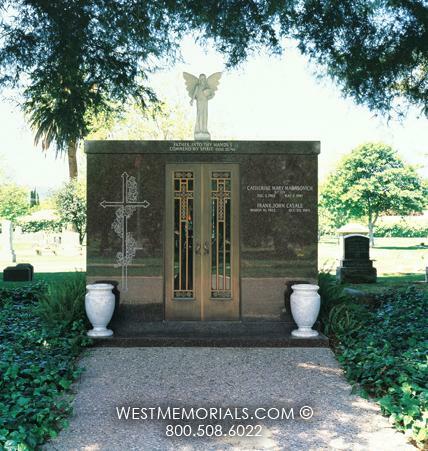 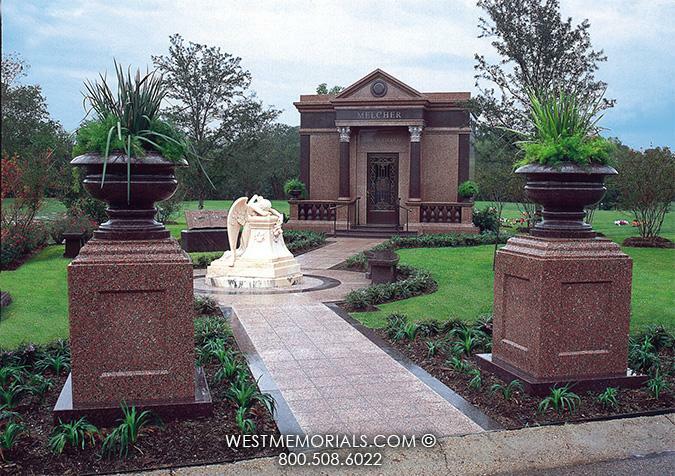 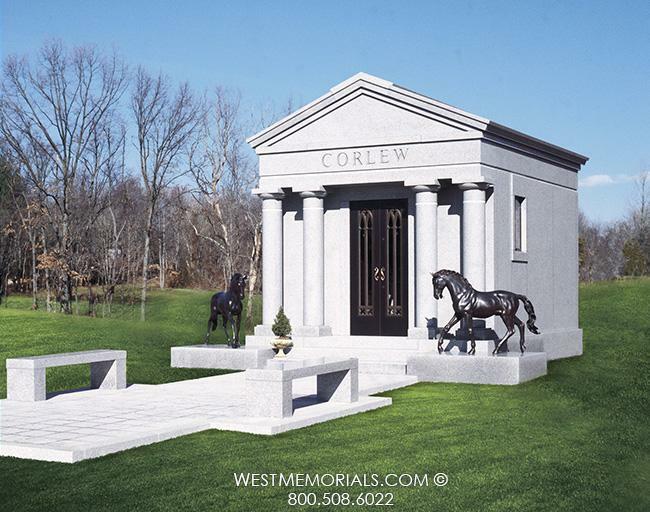 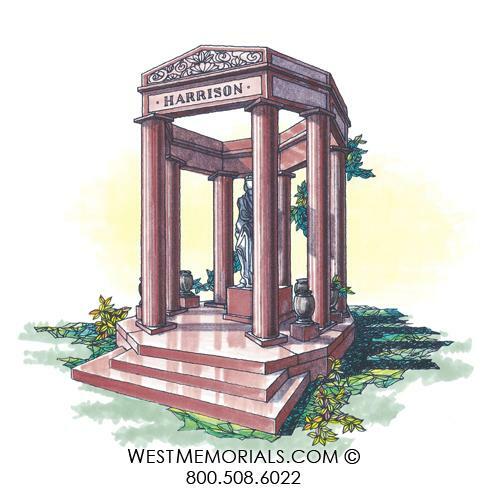 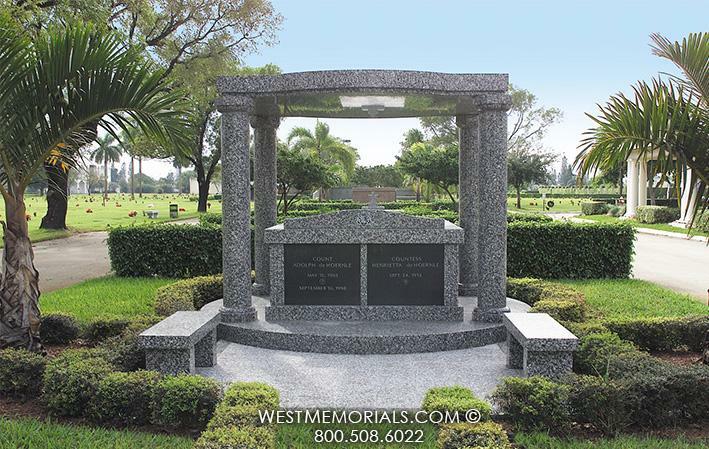 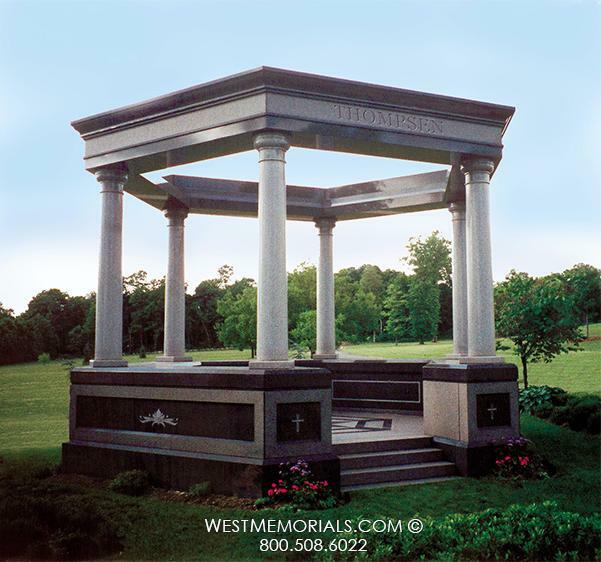 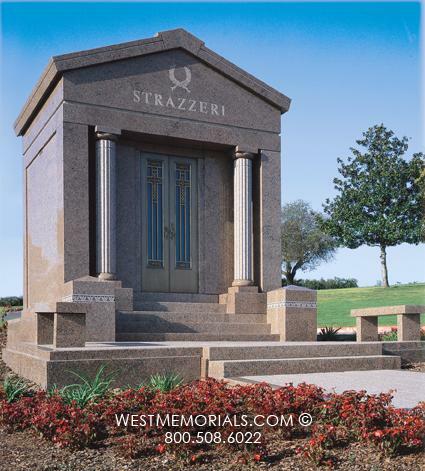 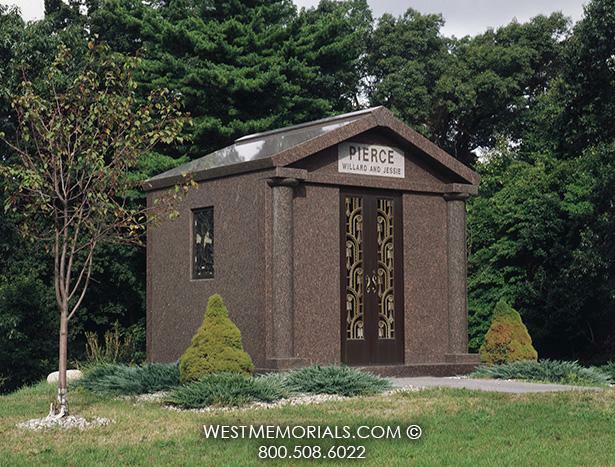 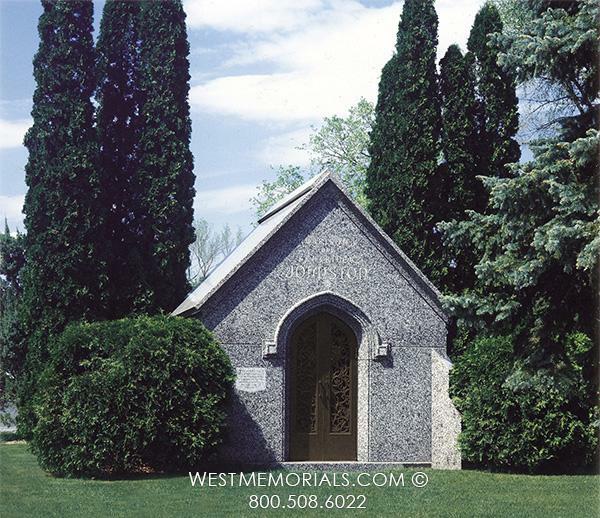 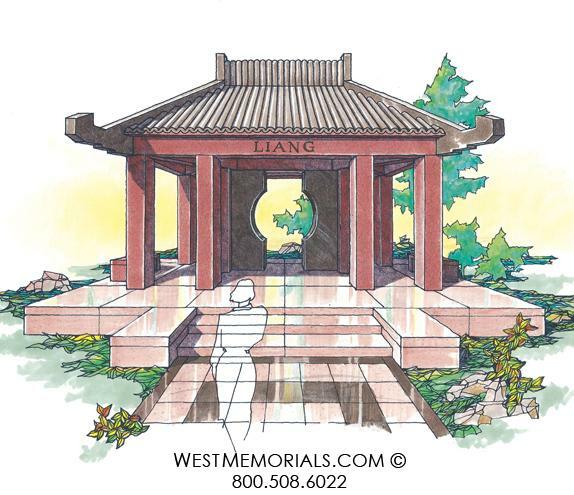 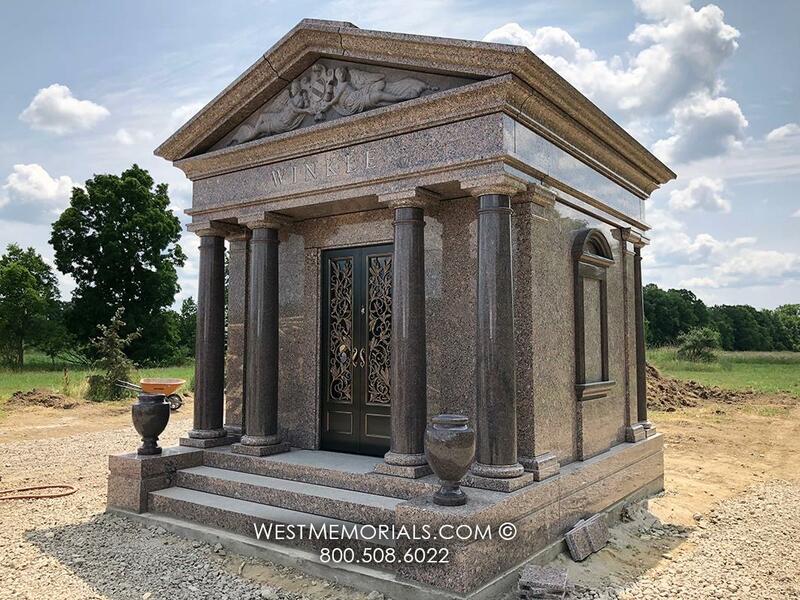 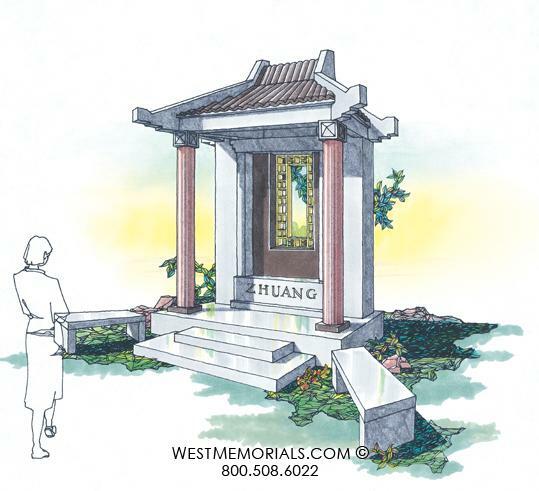 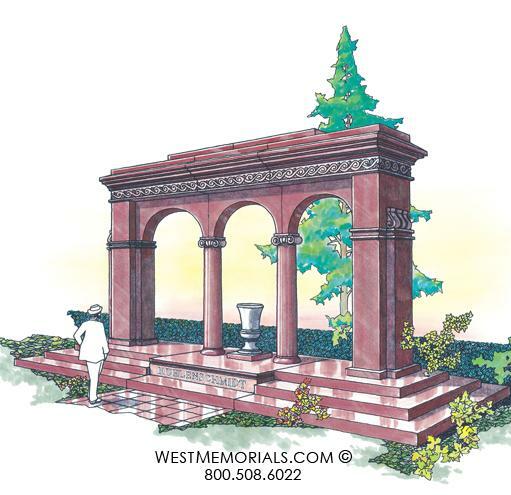 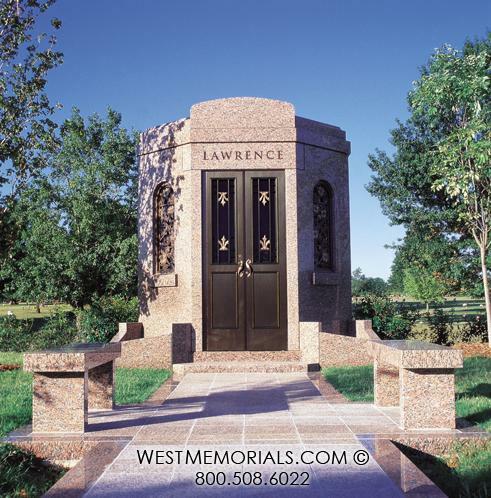 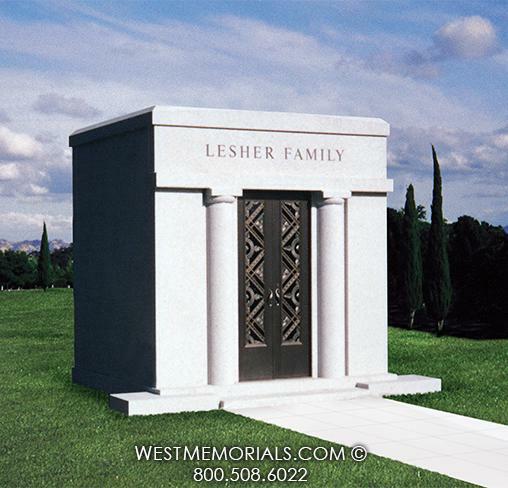 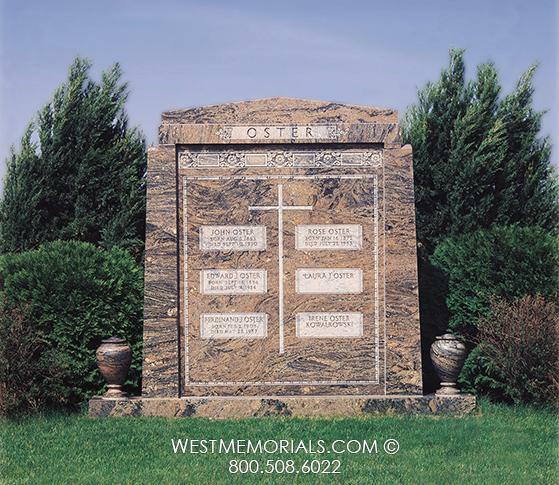 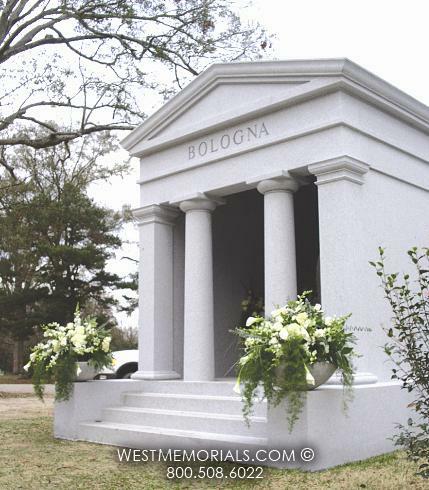 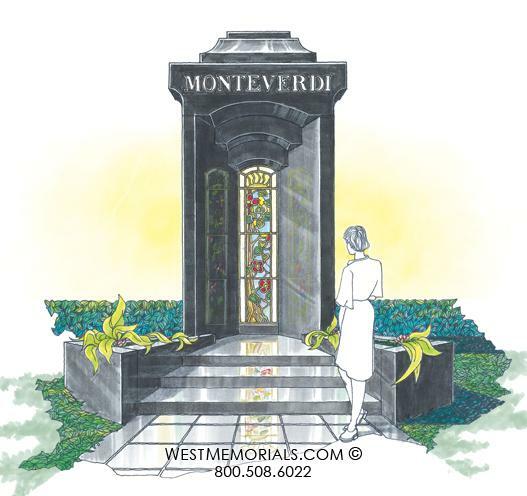 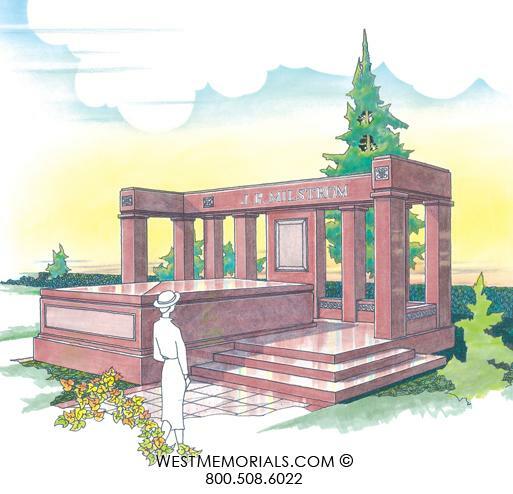 Paul West was honored to visit with the Black Family to design this gazebo style 2 crypt mausoleum design. 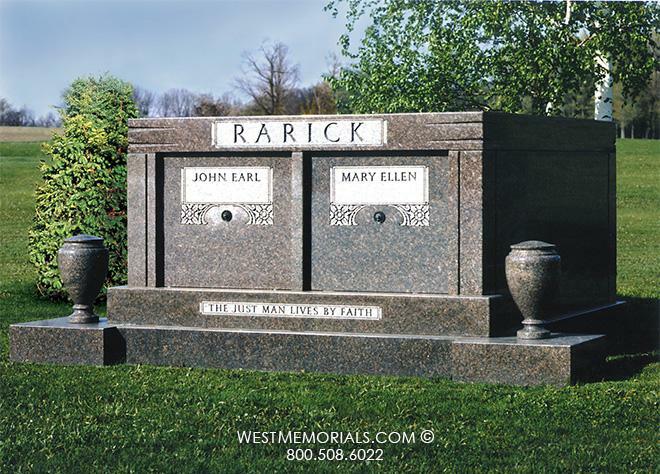 At the Black residence, a life-size bronze statue of Mr. and Mrs. Black was prominently displayed in the living room. 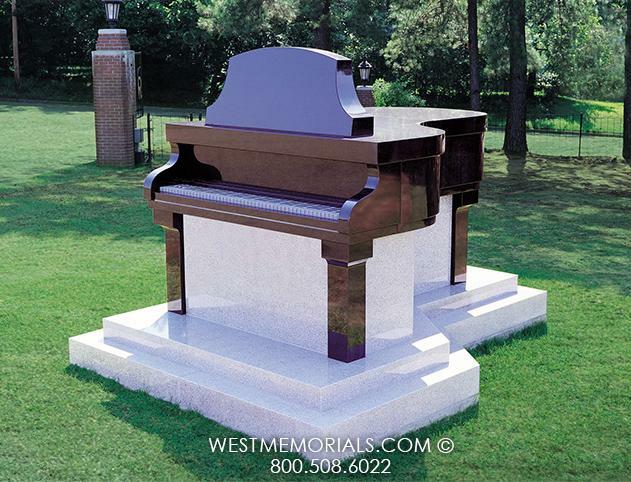 "Let me turn it on for you", and with that Mr. Black flipped a switch and the figures rotated around and around as music played. 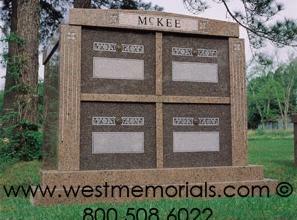 Waylon Black loved music. 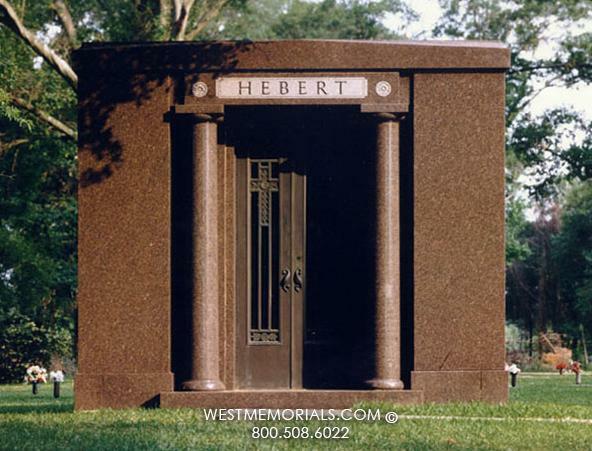 He sang in choirs, small groups and performed jazz solos. 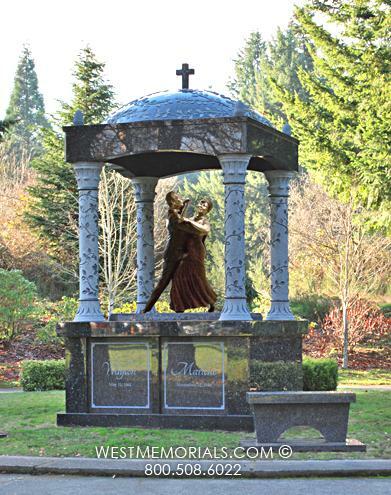 Waylon and Marlene were familiar figures on the ballroom dance floors from Centralia to Seattle. 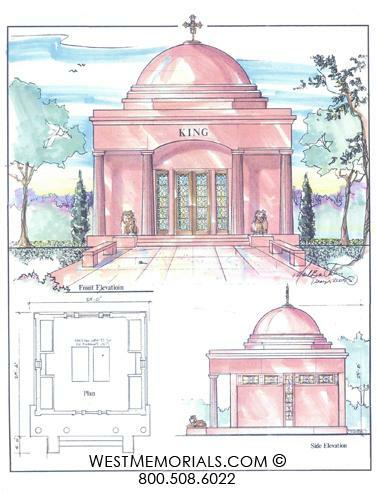 At the suggestion to one day place the statue in the cemetery, the mausoleum designs started to take shape. 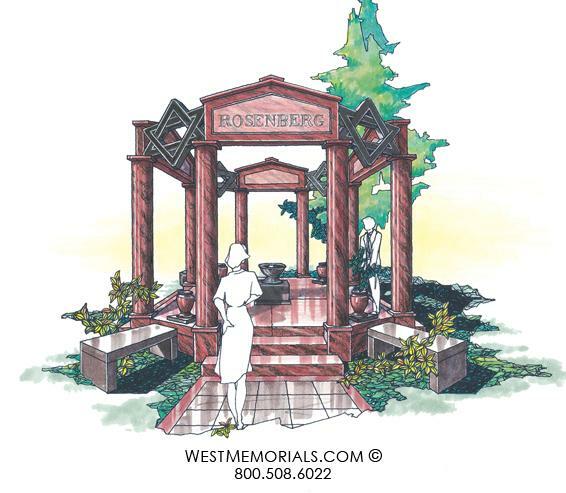 "We could be dancing under the stars", "It must be seen as you drive down the main road", "What do you think of a gazebo? 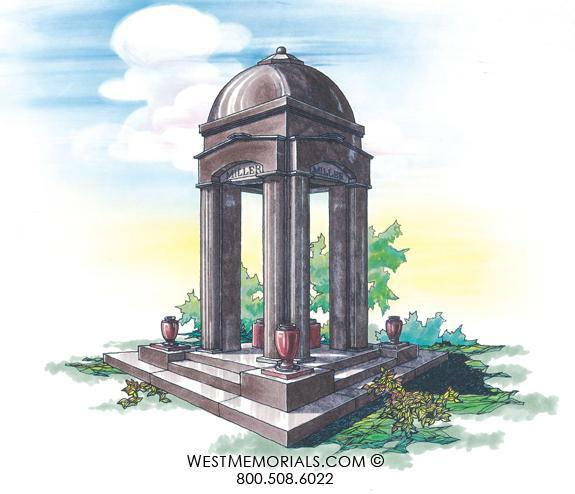 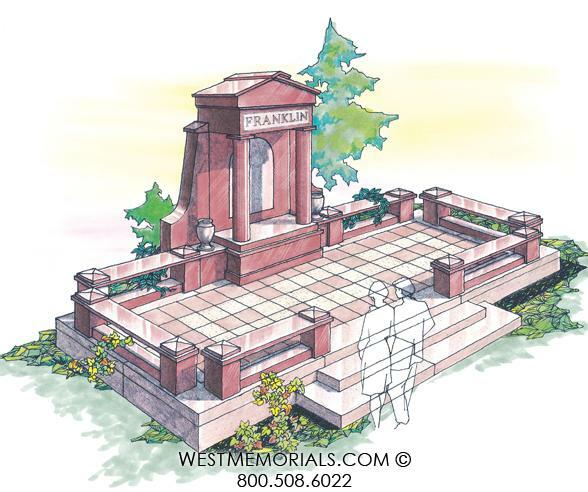 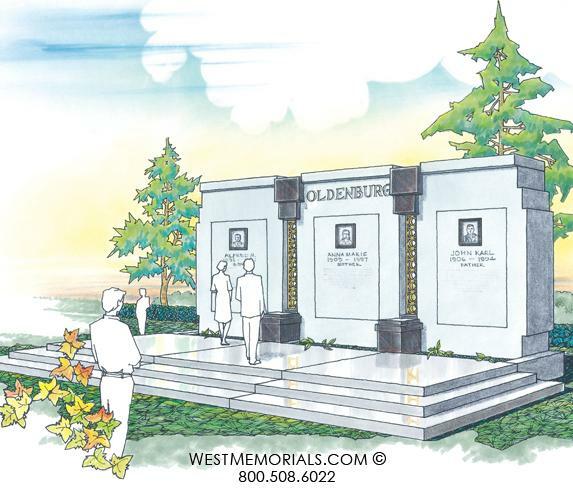 ", "With beautiful leafy vines decorating the columns and the top of the gazebo" - The sketching continued until the main elements of the featured piece of the memorial had a basic design. 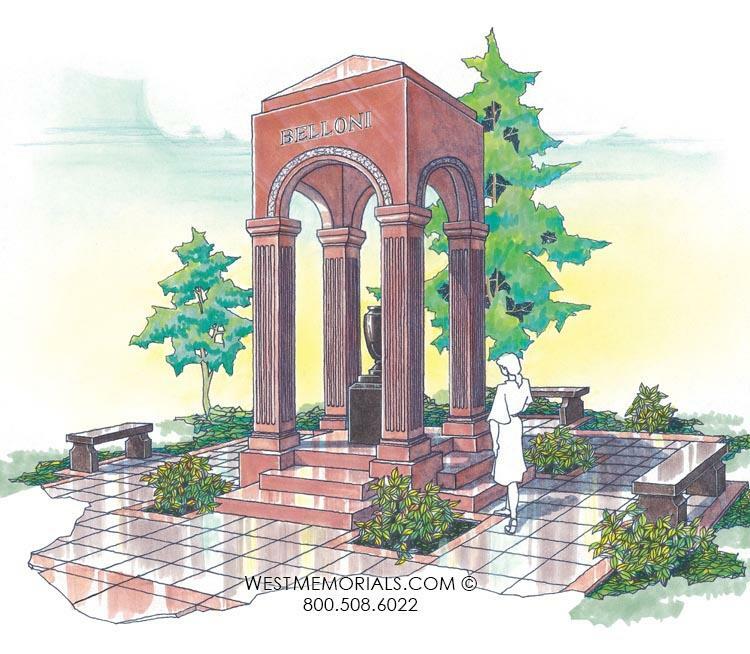 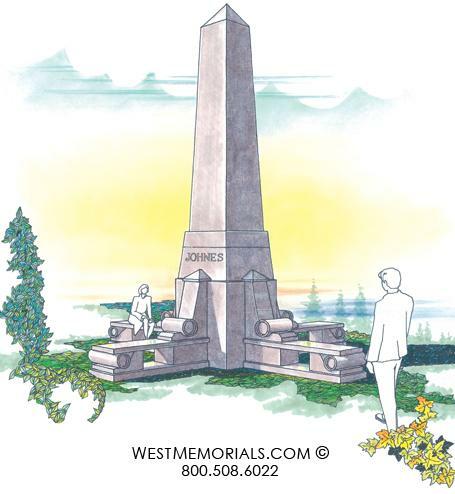 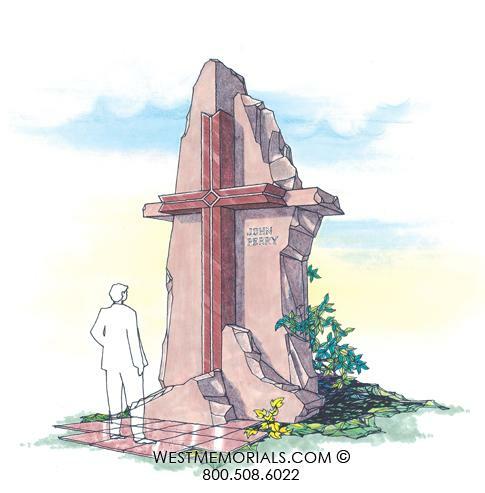 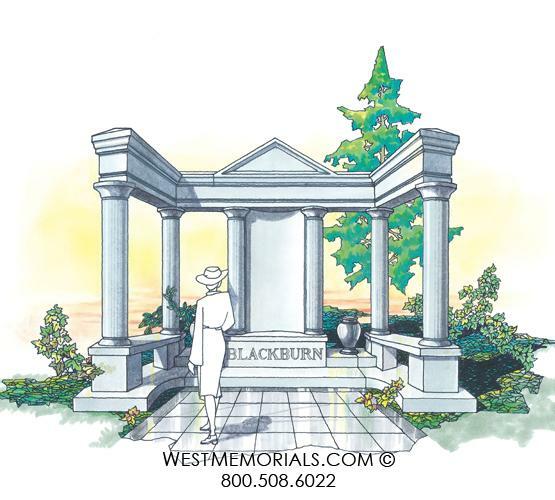 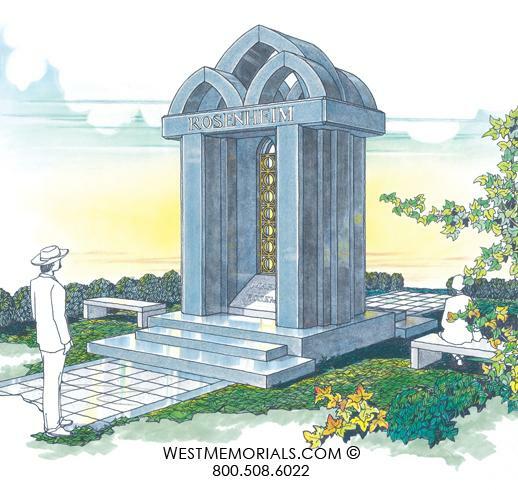 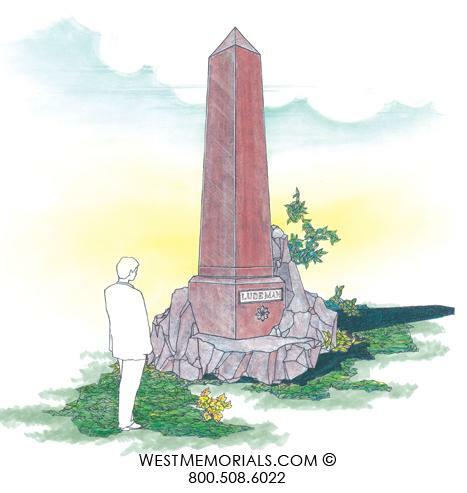 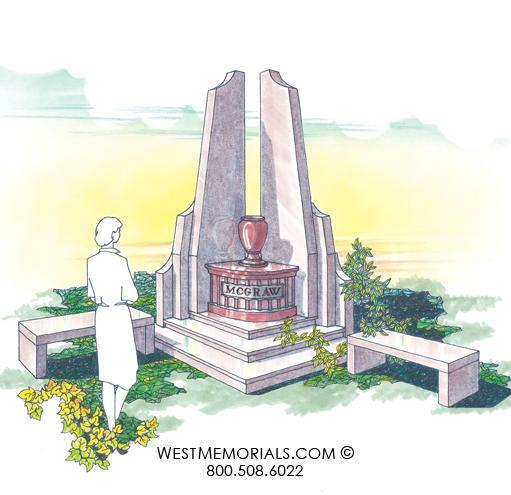 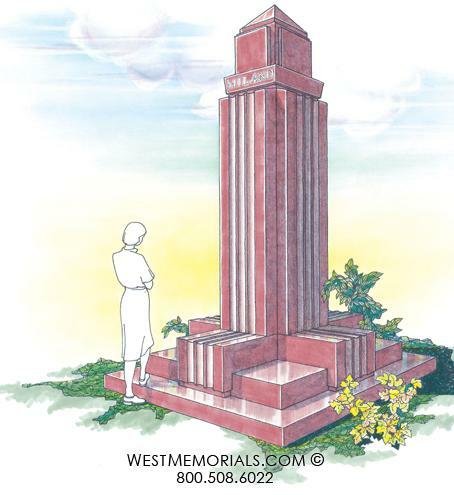 Back in Memphis, Paul and the West Memorials graphics team refined the design for the Black's approval. 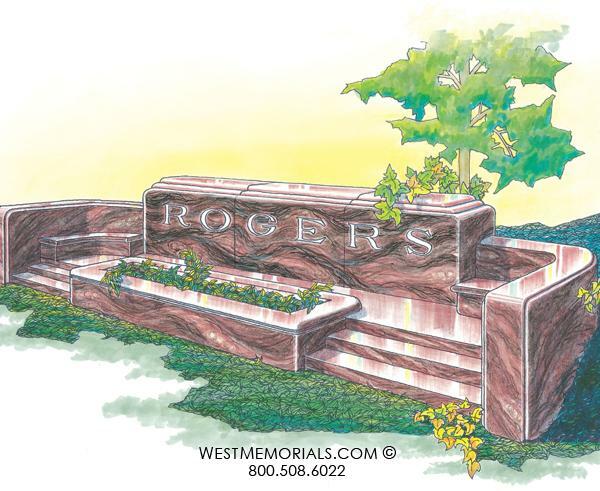 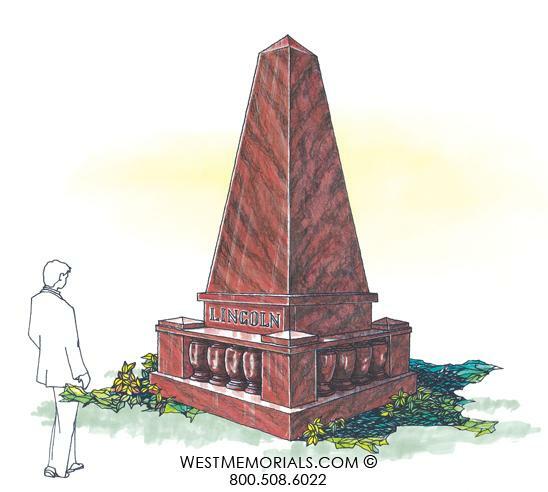 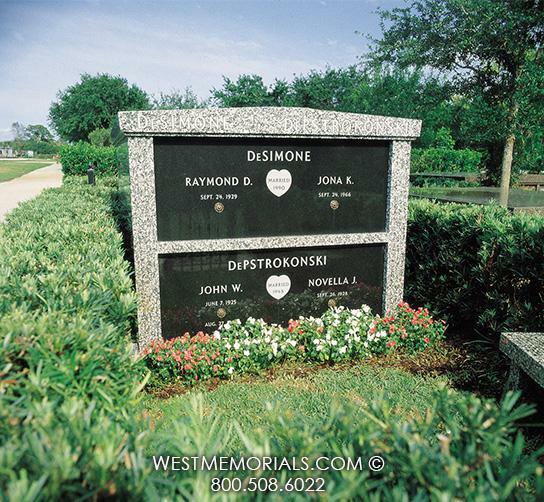 Through emails, granite colors were chosen and lettering was approved. 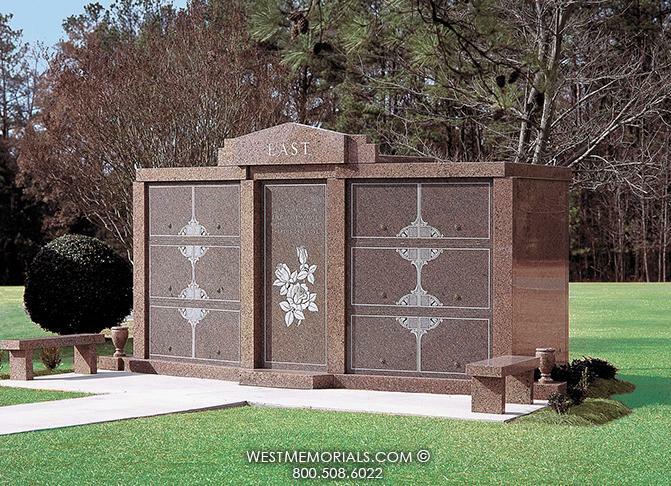 The Black Mausoleum is a 2 crypt drawer design. 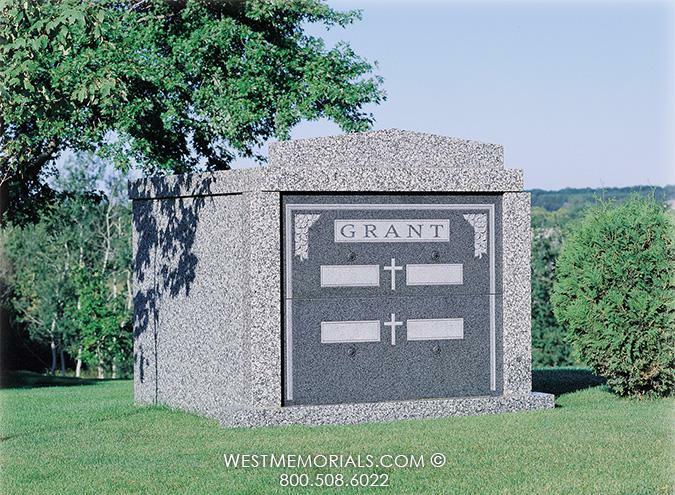 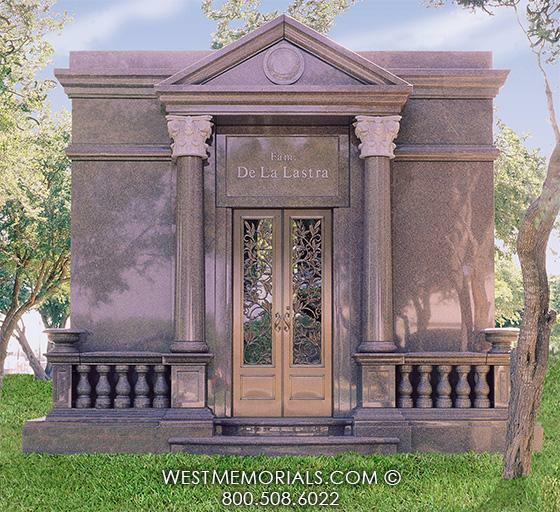 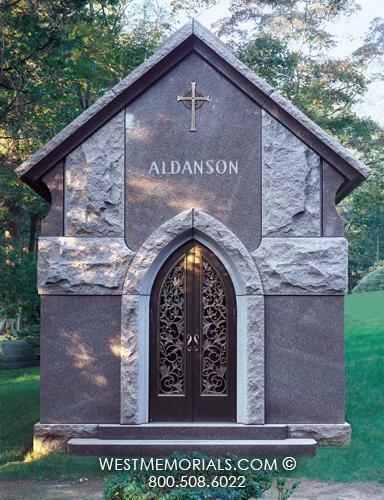 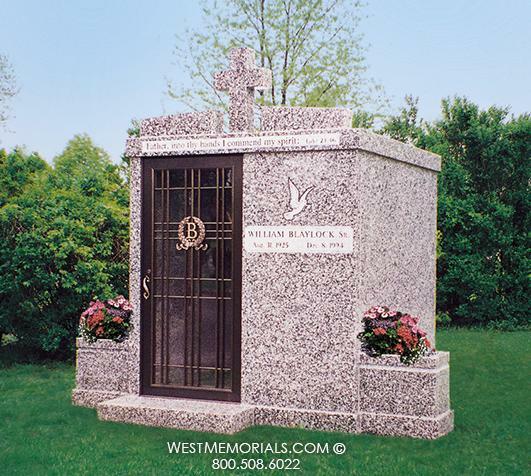 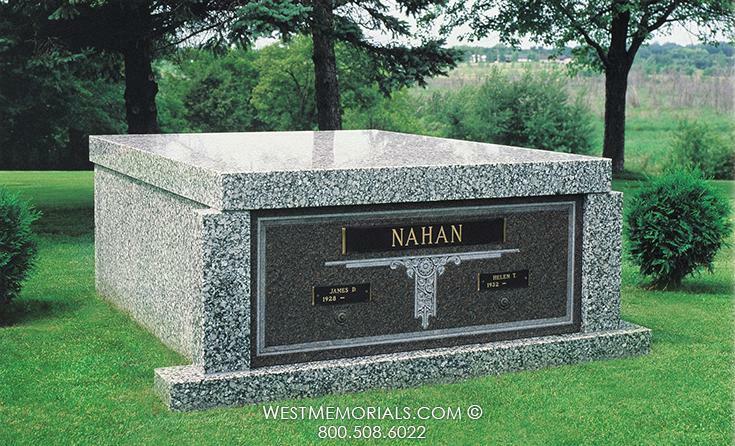 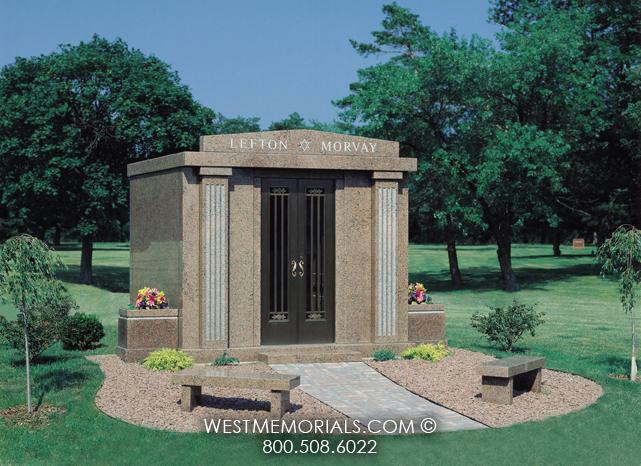 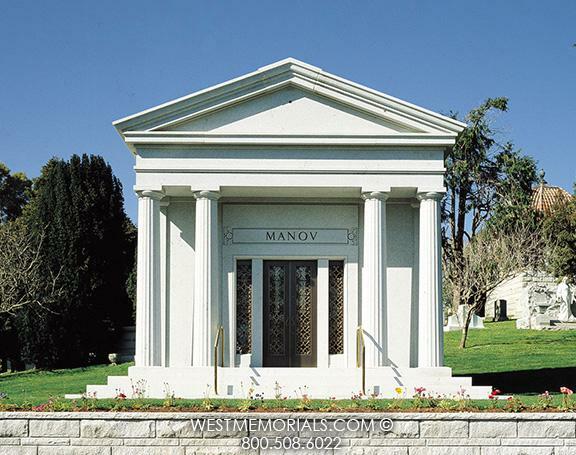 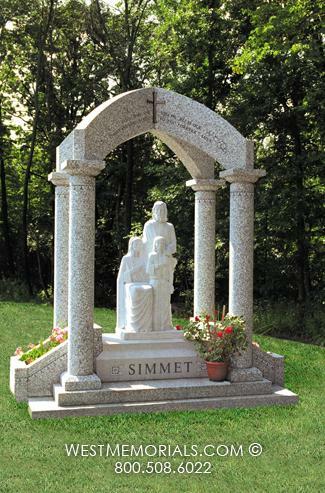 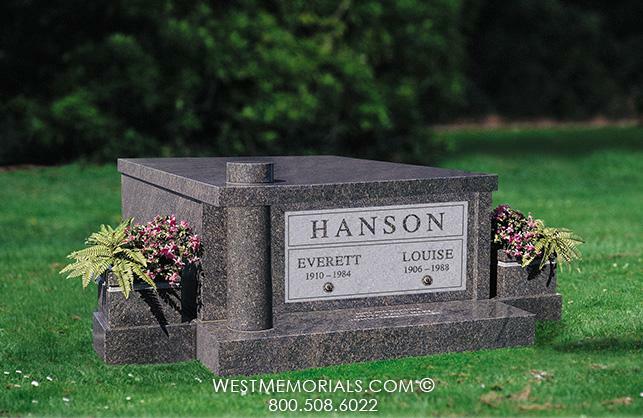 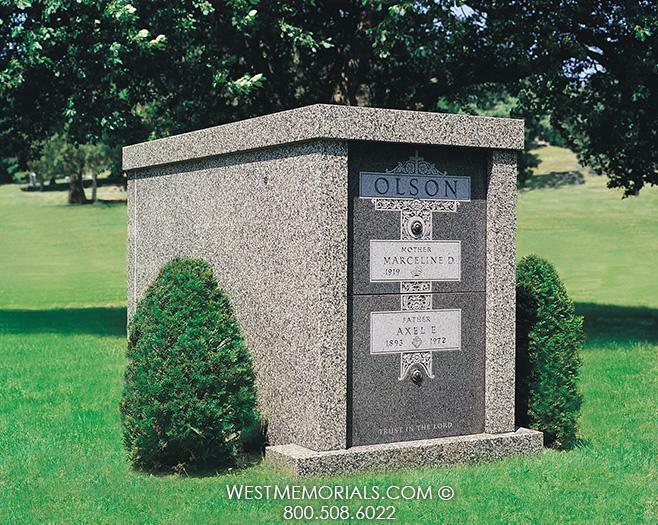 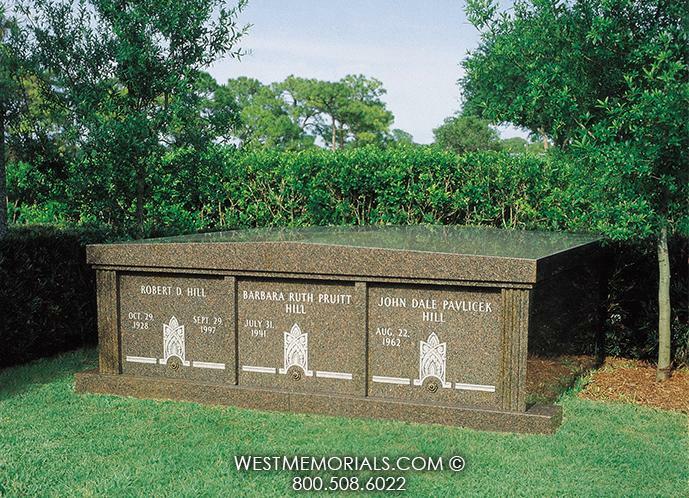 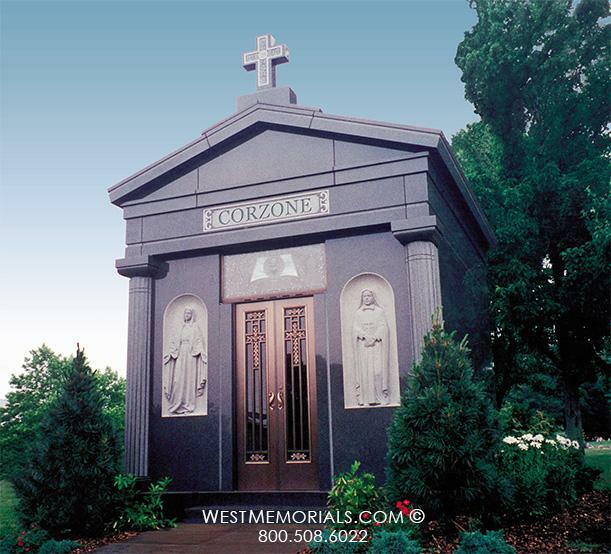 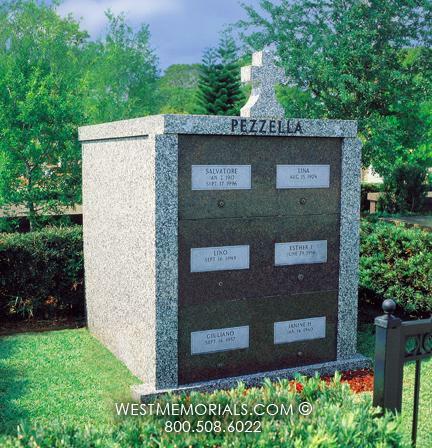 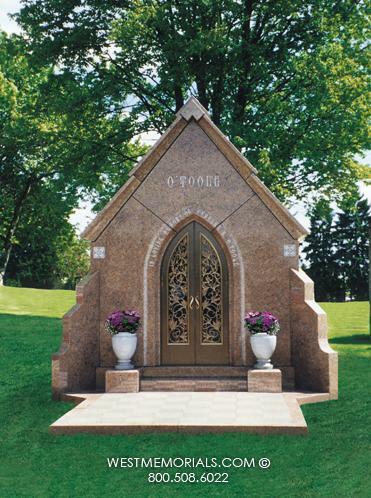 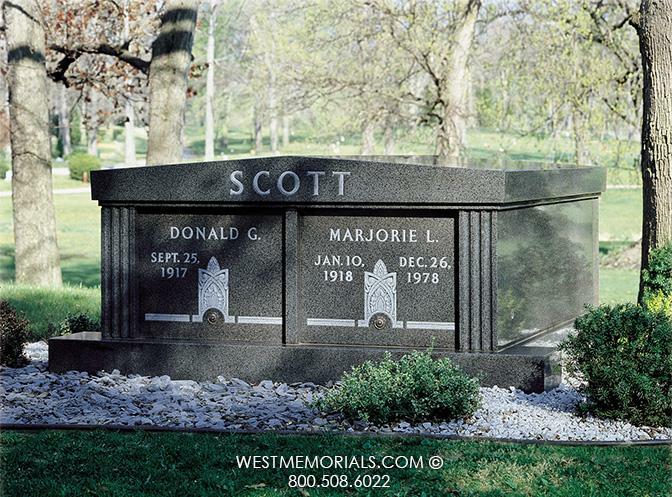 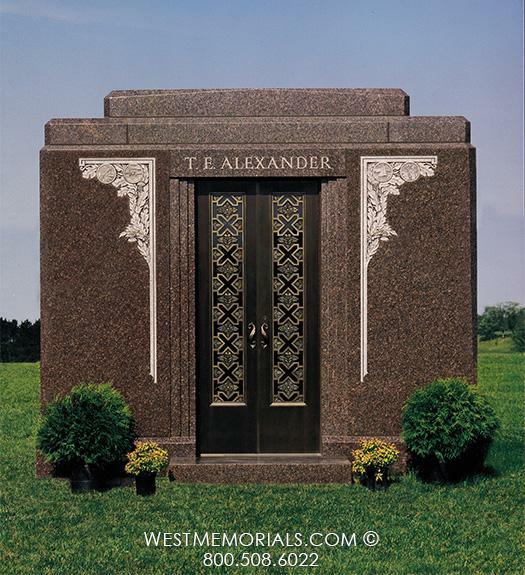 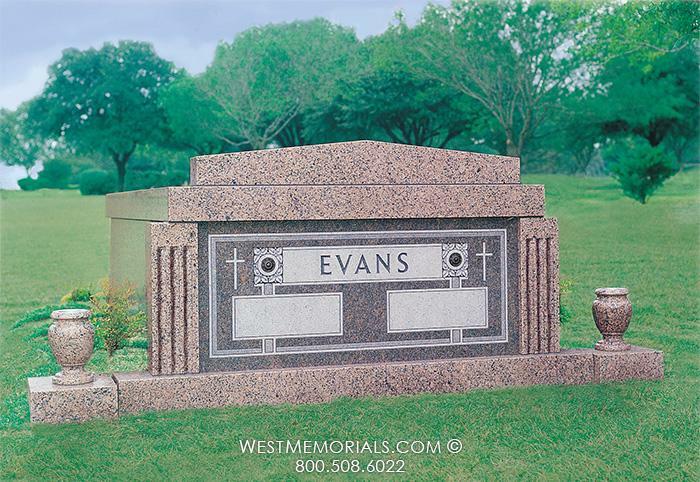 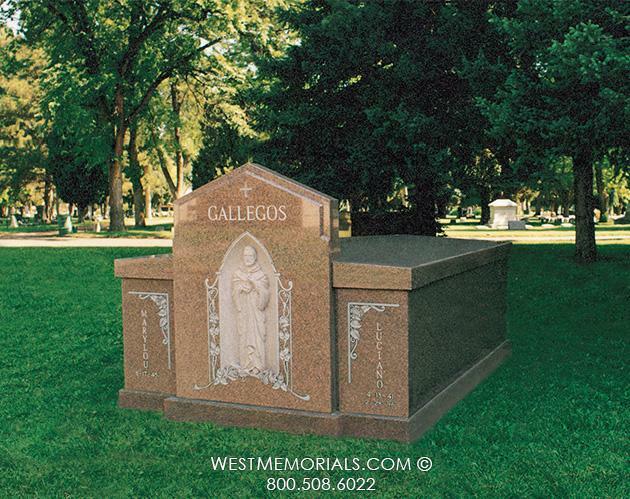 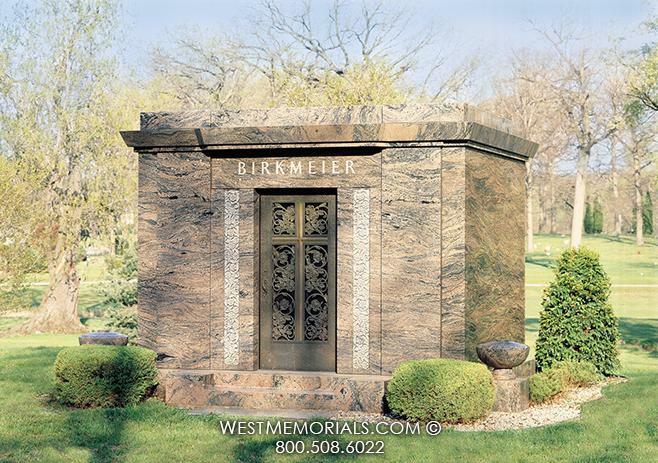 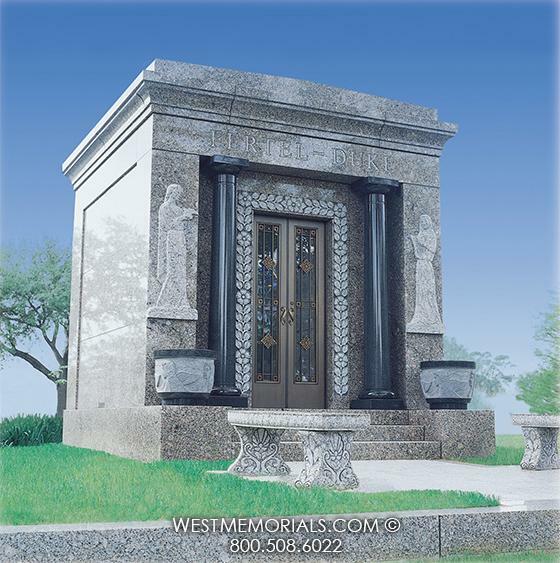 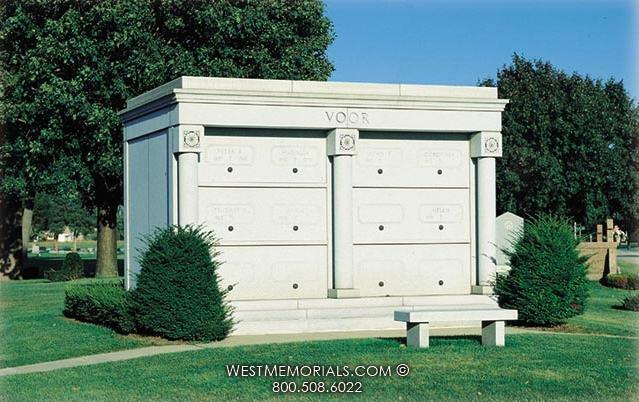 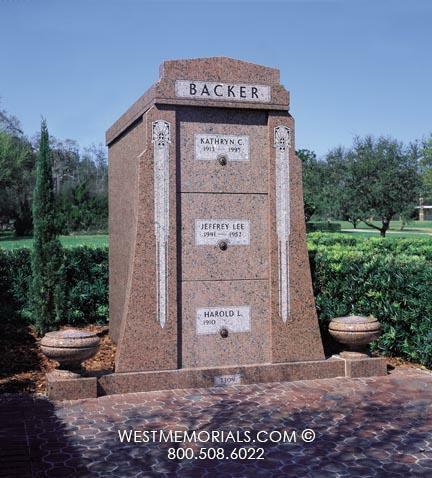 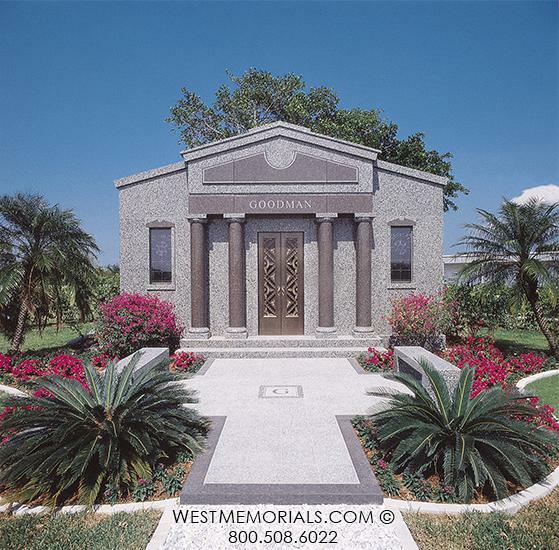 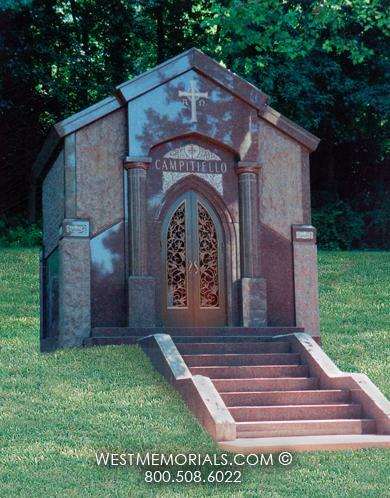 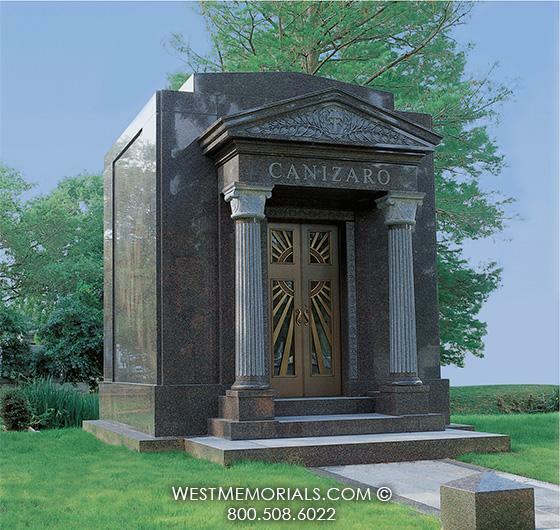 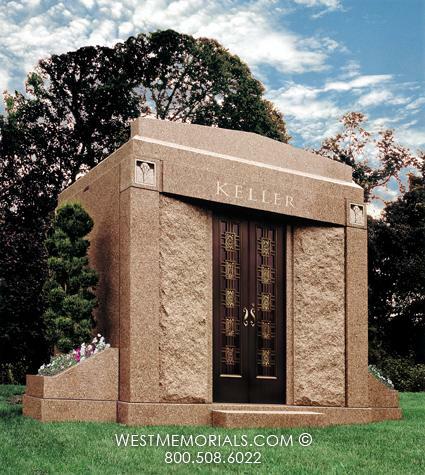 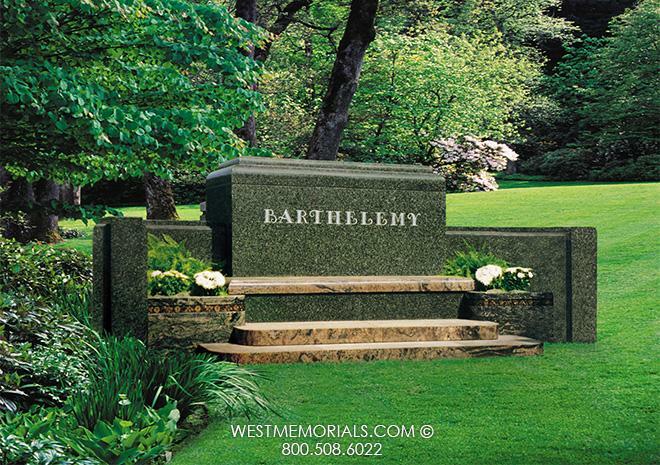 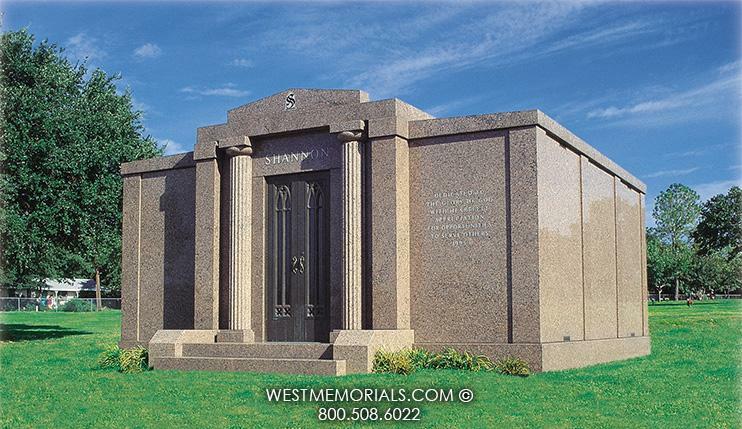 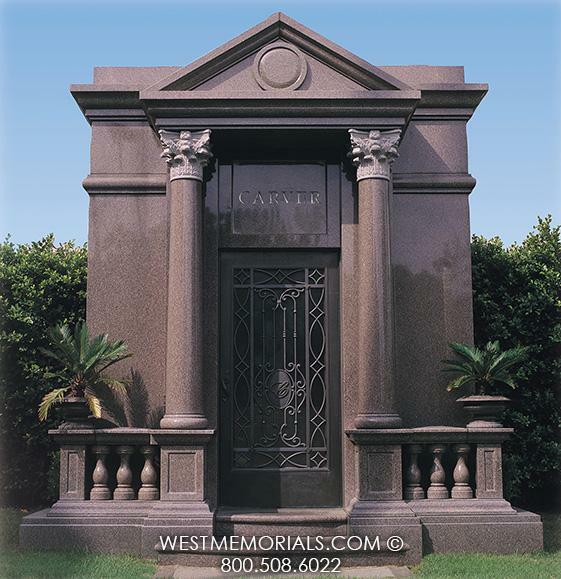 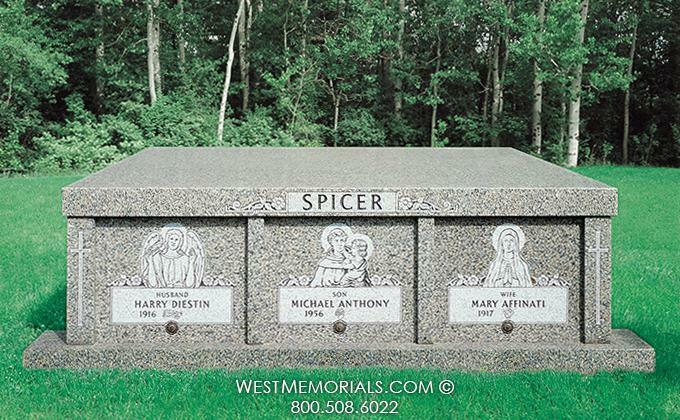 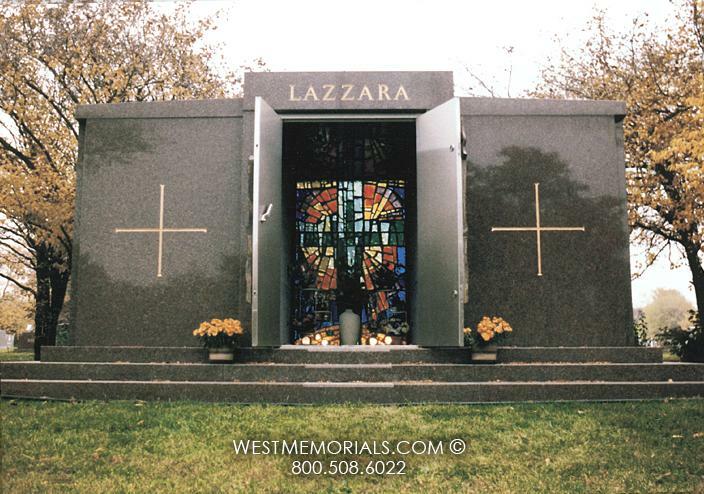 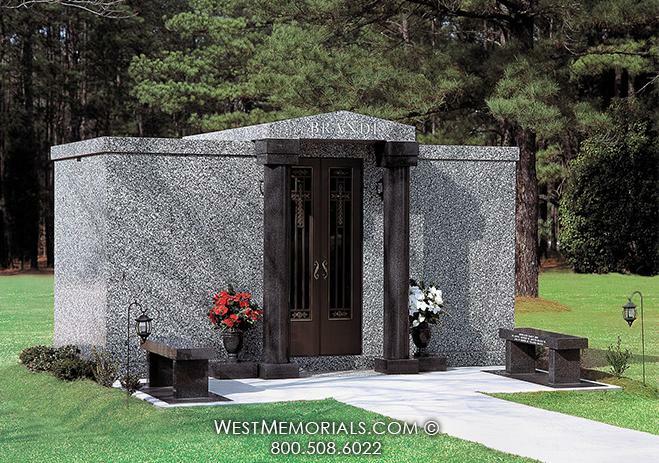 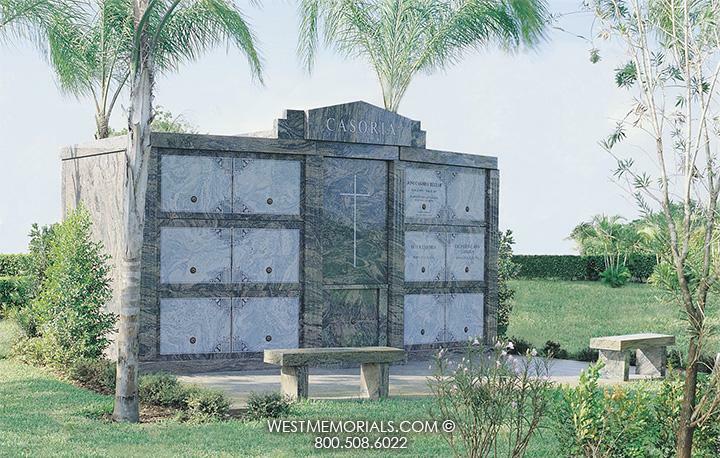 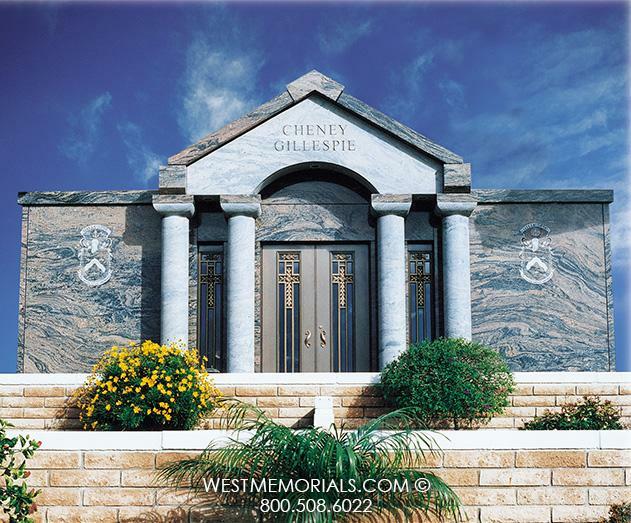 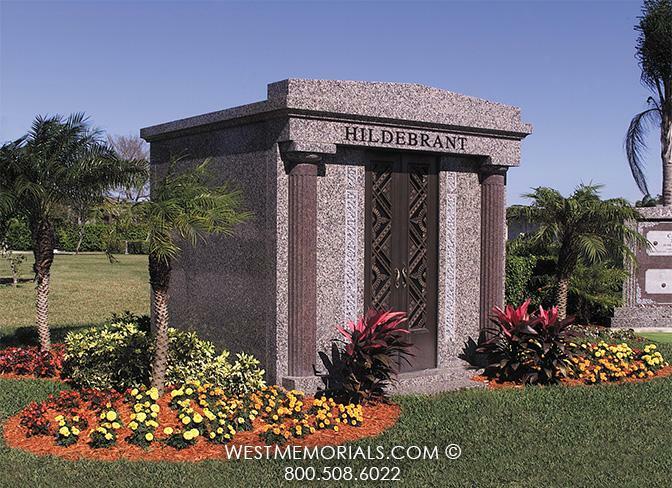 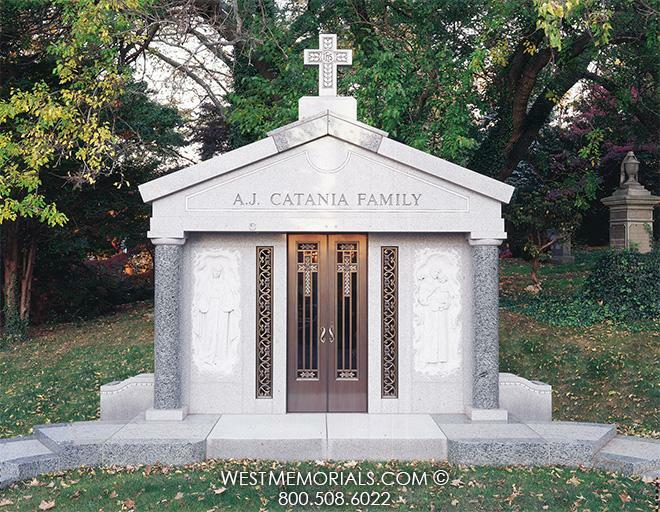 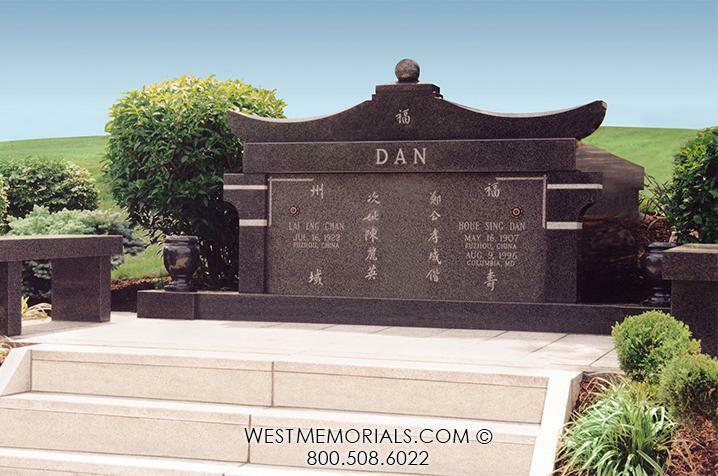 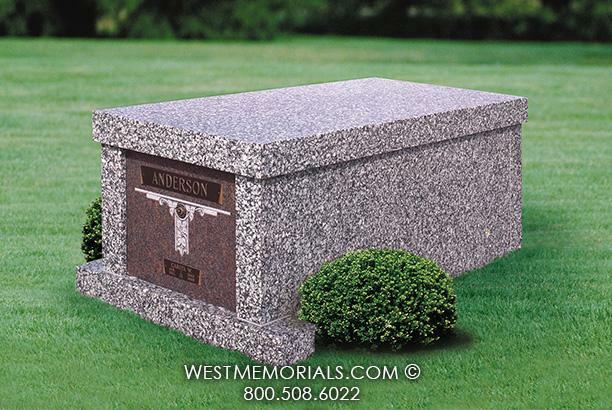 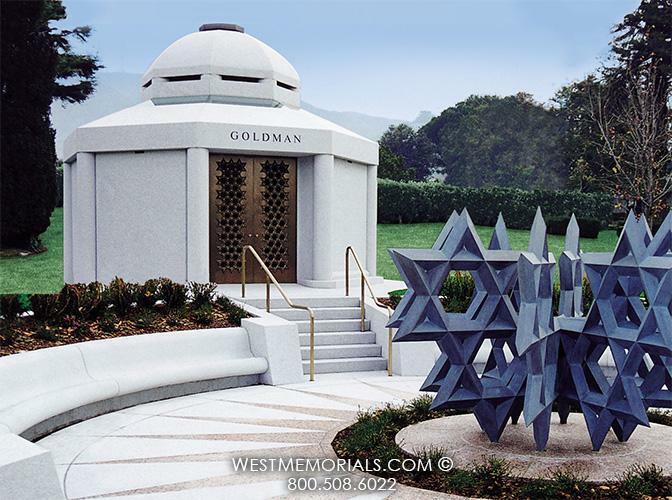 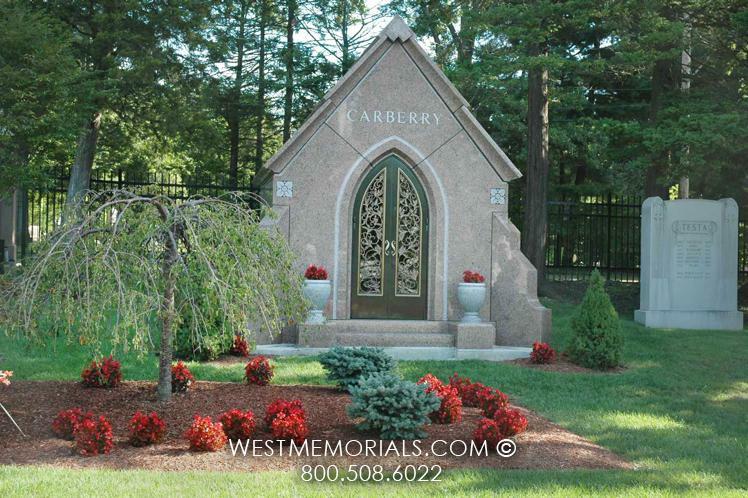 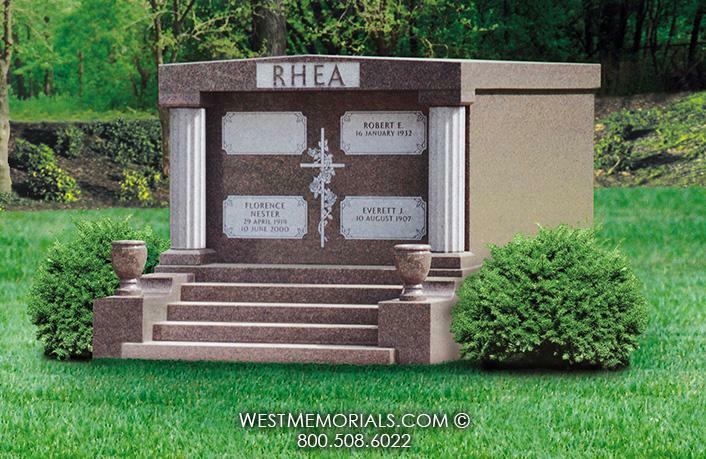 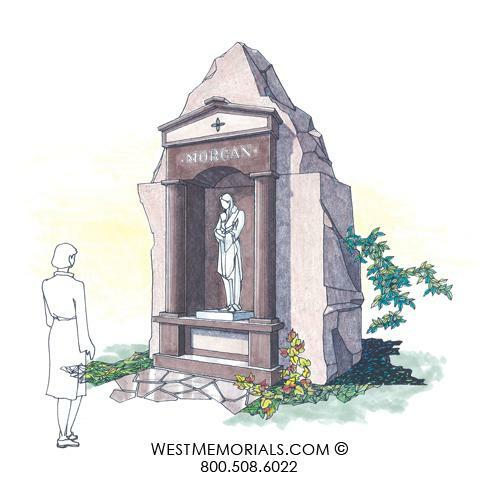 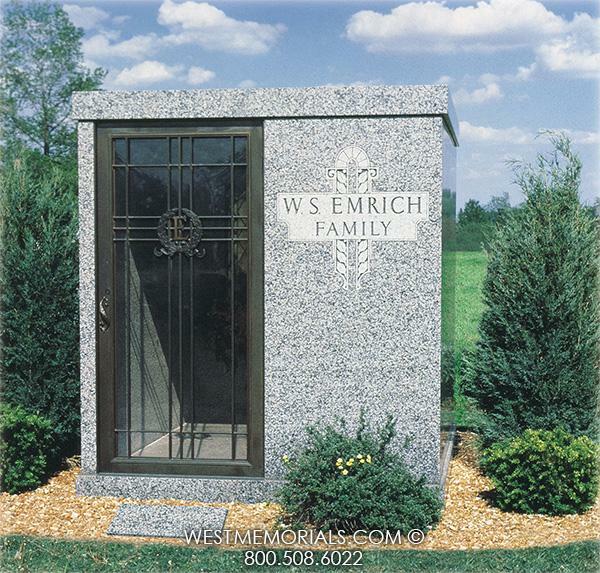 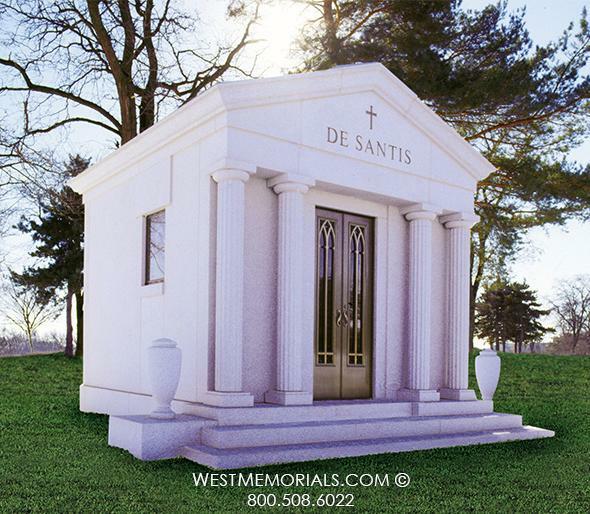 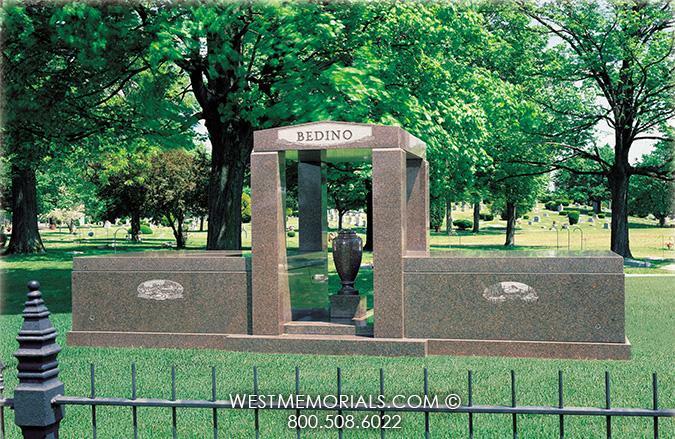 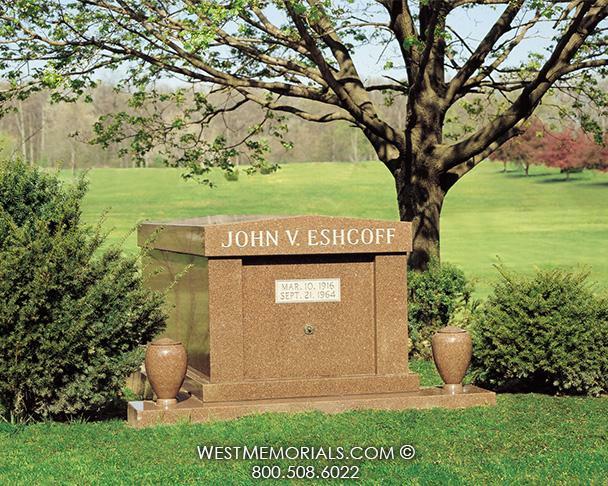 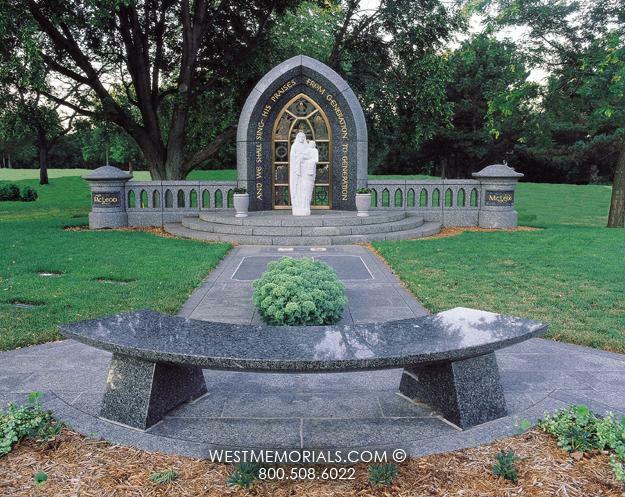 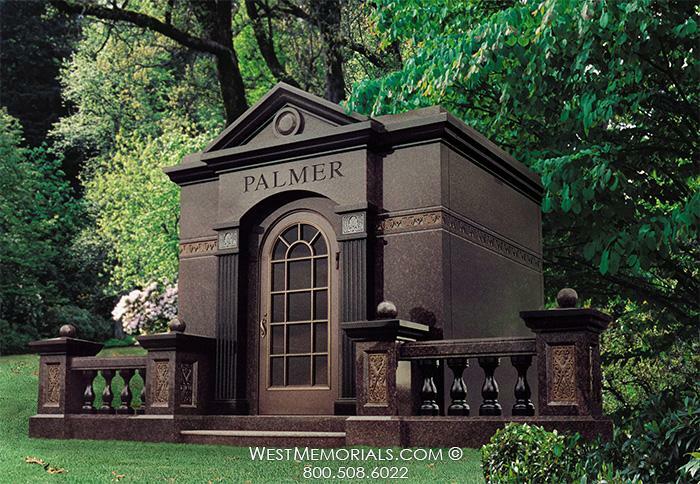 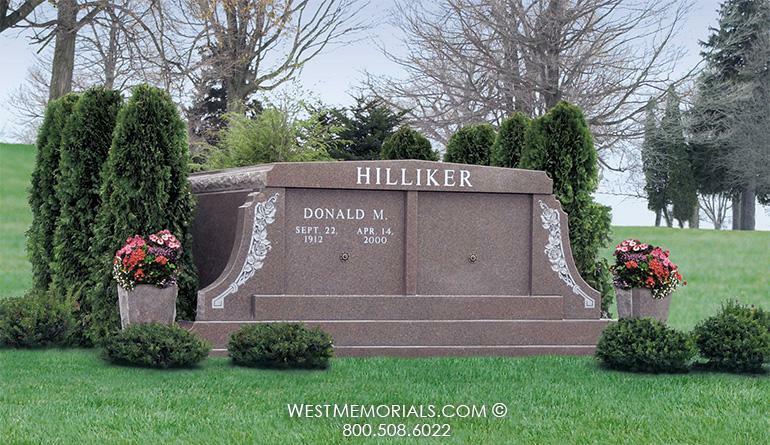 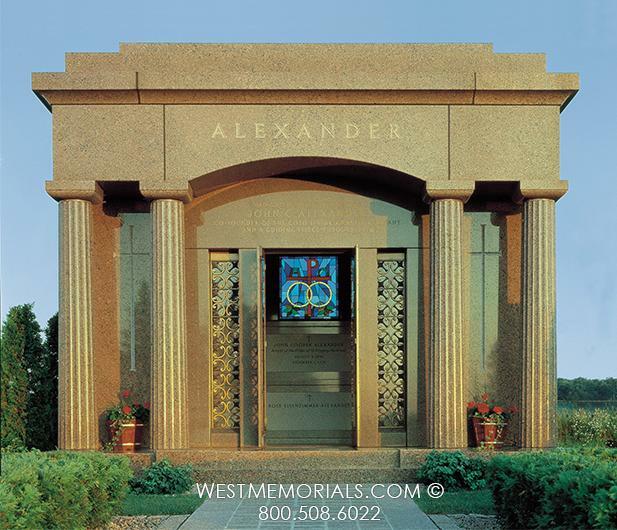 This mausoleum is made from green and mahogany granite. 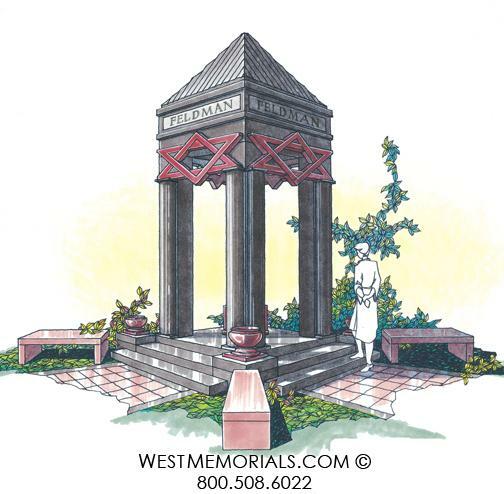 In the future, the Black family will move the life-size bronze statue of Mr. and Mrs. Black dancing to the area under the gazebo. 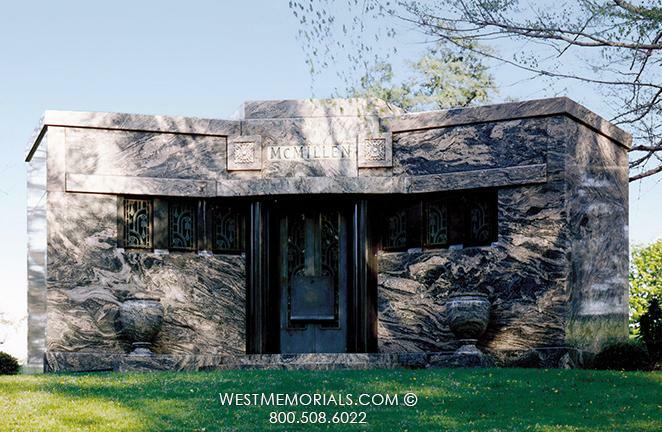 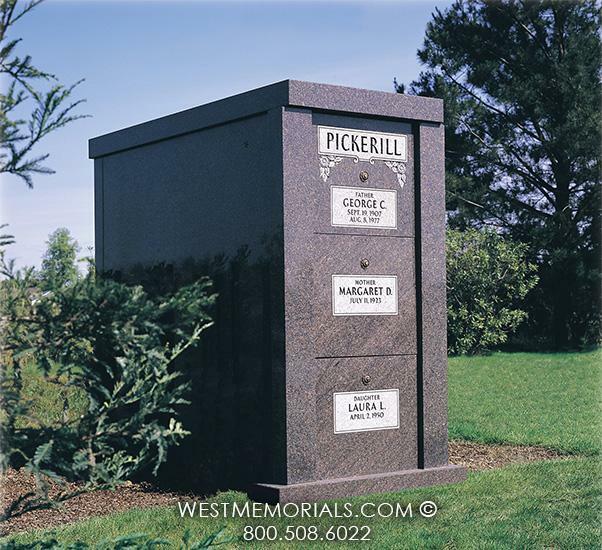 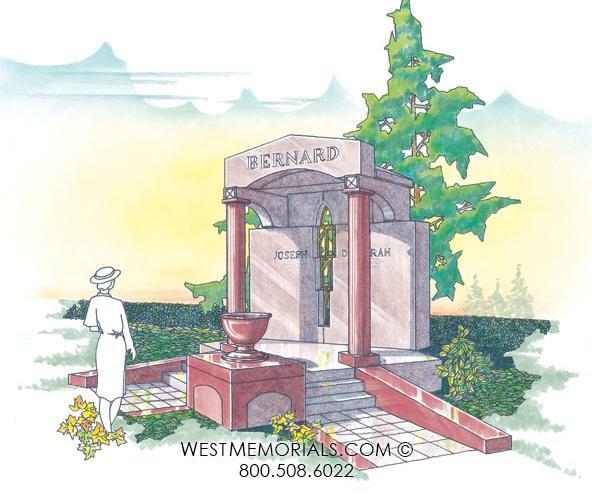 The Black Mausoleum is located in Mills & Mills Memorial Park in Tumwater, WA, close to Olympia.